© 2002, © 2018 by Paul Freeman. Revised 12/15/18. 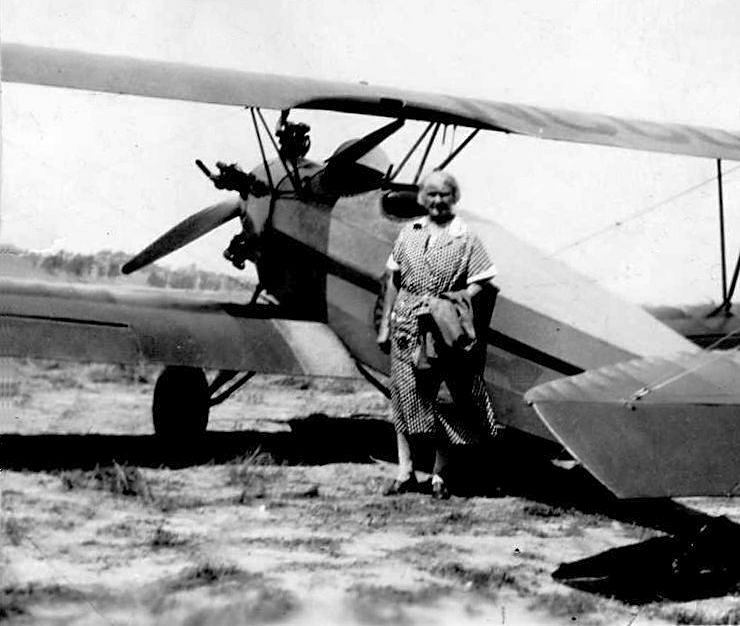 A 1936 photo (courtesy of Marc Salvisberg) of his 68 year old great-grandmother Rosa Inauen Rutz in front of a Fleet Model 2 at the original (Santa Venetia) location of the Marin County Airport. 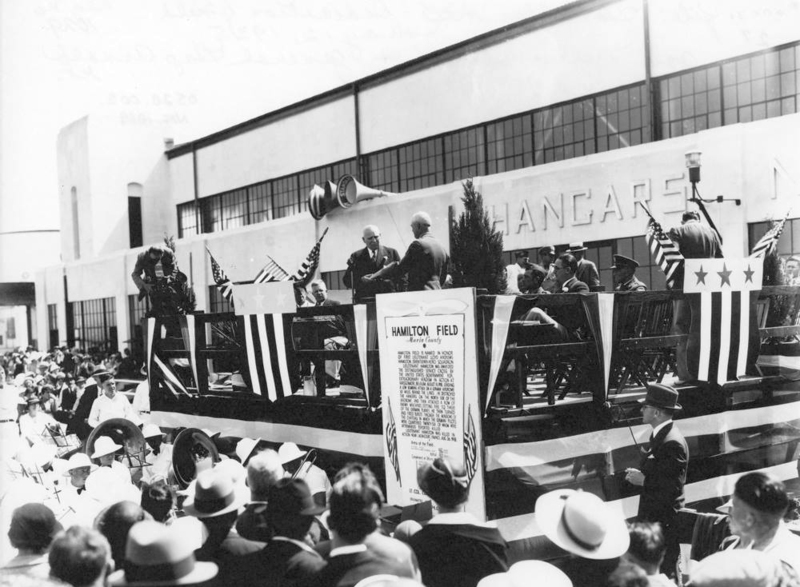 The date of establishment of the original location of the San Rafael Airport / Marin County Airport has not been determined. was a 1936 photo (courtesy of Marc Salvisberg) of his 68 year old great-grandmother Rosa Inauen Rutz in front of a Fleet Model 2. 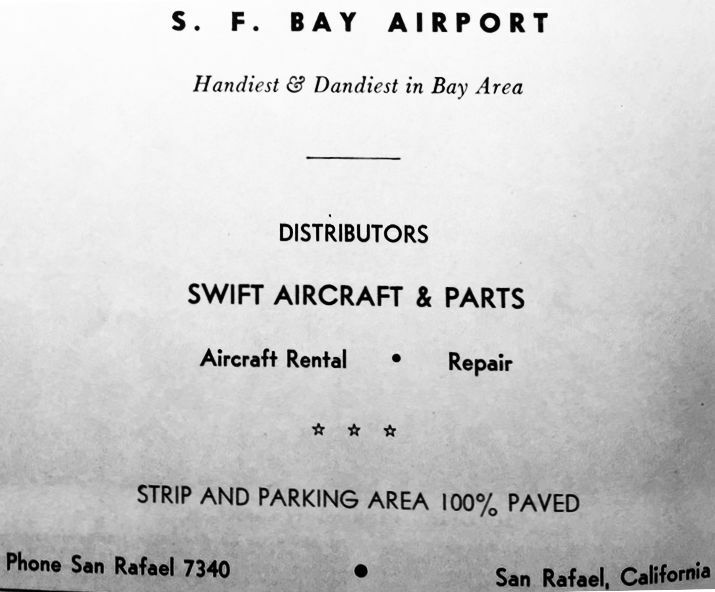 The original San Rafael Airport / Marin County Airport was not yet listed among active airfields in the 1945 AAF Airfield Directory (courtesy of Scott Murdock). 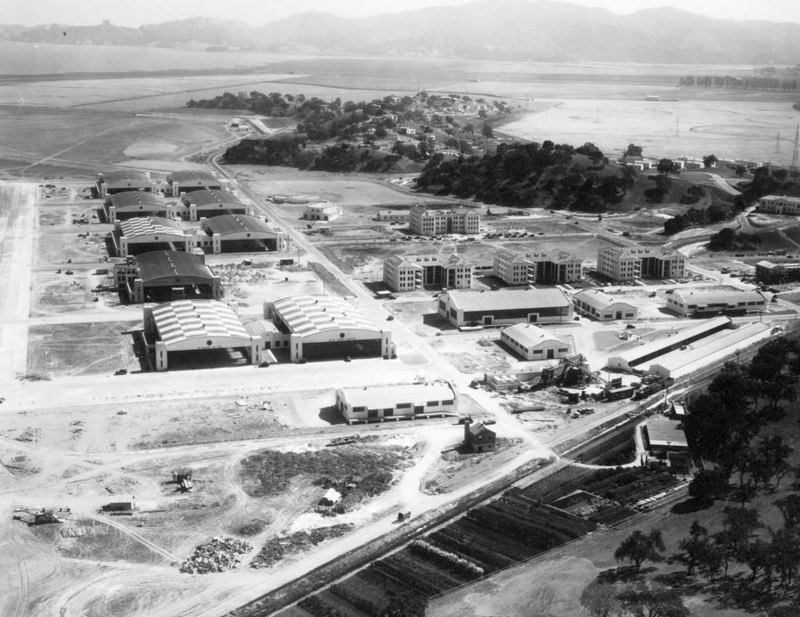 The earliest aerial photo which has been located of San Rafael Airport was a 1946 aerial view. with a small hangar & 4 light single-engine aircraft on the southwest side of the field. with hills visible immediately behind the hangar. The 1948 San Francisco Local Aeronautical Chart (courtesy of Tim Zukas) depicted Marin County Airport as having a 2,400' unpaved runway. 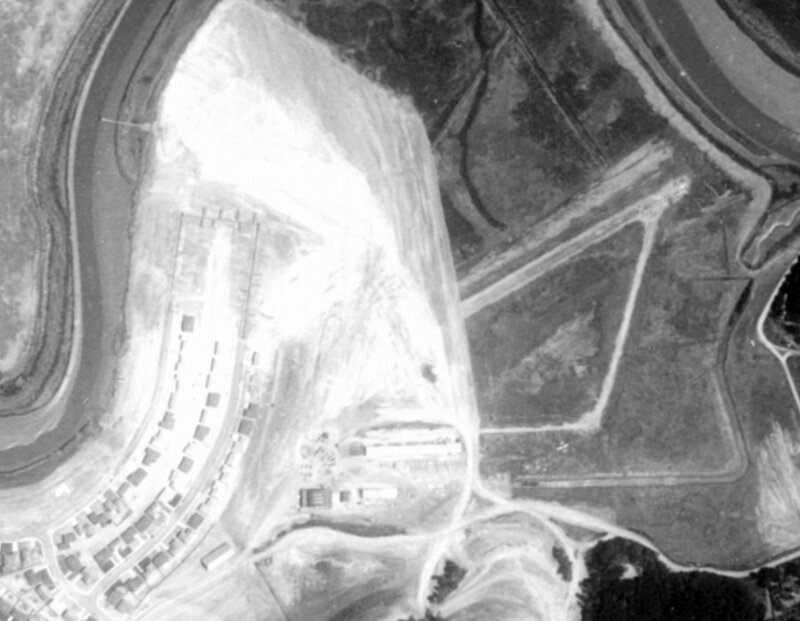 A 1948 aerial view depicted at least 2 light aircraft on the south side of San Rafael Airport. An undated aerial view looking north at “San Rafael – Marin County Airport” from the 1950 Air Photo Guide (courtesy of Kevin Walsh). It described Marin County Airport as having a 2,450' paved runway & 2,000' turf Runway 18/36, and listed the manager as H.O. Tollefson. 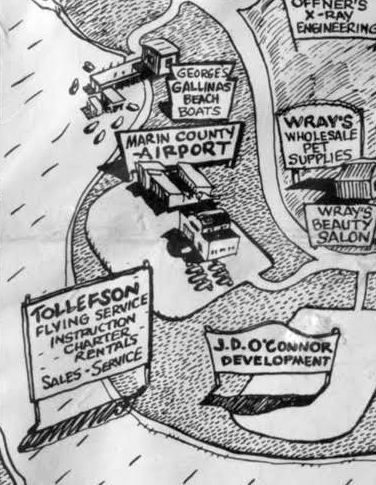 A 1951 cartoon-style map depicted Tollefson Flying Service at Marin County Airport (courtesy of Kevin Walsh). The 1951 San Francisco Sectional Chart (courtesy of Jonathan Westerling) depicted Marin County Airport as having a 2,100' paved runway. 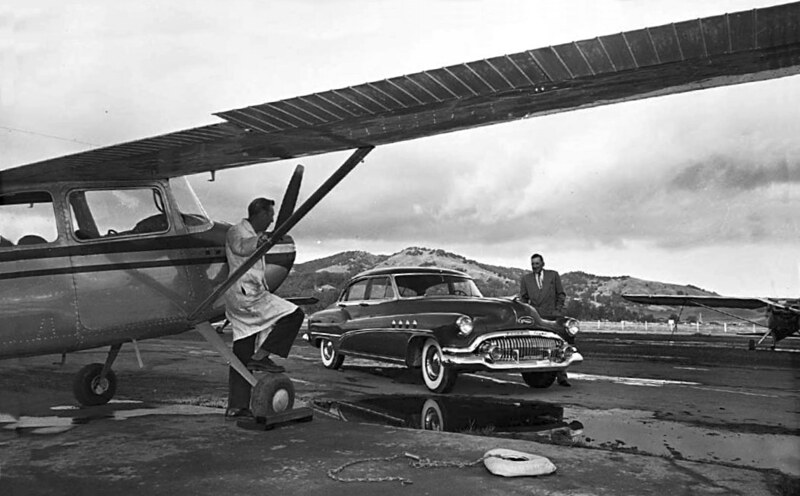 A 1951 photo depicted several Cessnas & a stylish 1951 Buick Roadmaster Sedan Model 72R at San Rafael Airport (courtesy of Marc Salvisberg). possibly indicating it had closed already. but the eastern portion of the runway & taxiway remained, along with several hangars. A closed-runway “X” symbol was still visible on the runway. Notably, one light single-engine aircraft appeared to remain on the field, just south of the remaining portion of taxiway. Perhaps it was not airworthy when the airport was closed. 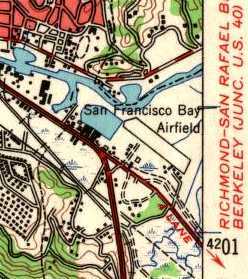 The 1955 USGS topo map did not depict San Rafael Airport, just an open space. 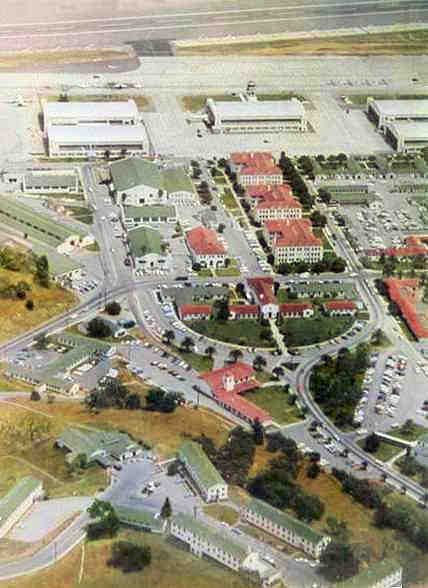 A 1958 aerial view depicted homes covering the site of the original San Rafael Airport. on the opposite side of the Gallinas Creek. 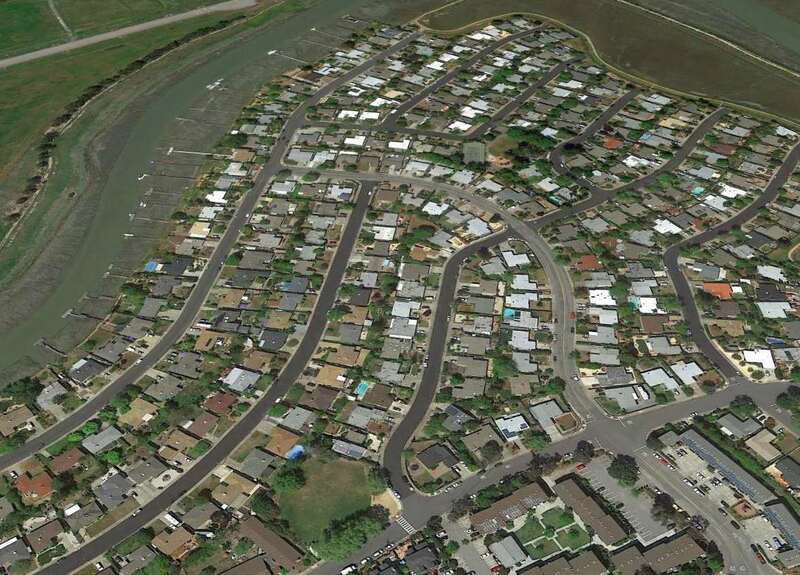 A 2015 aerial view looking north shows the site of the original San Rafael Airport covered by homes. 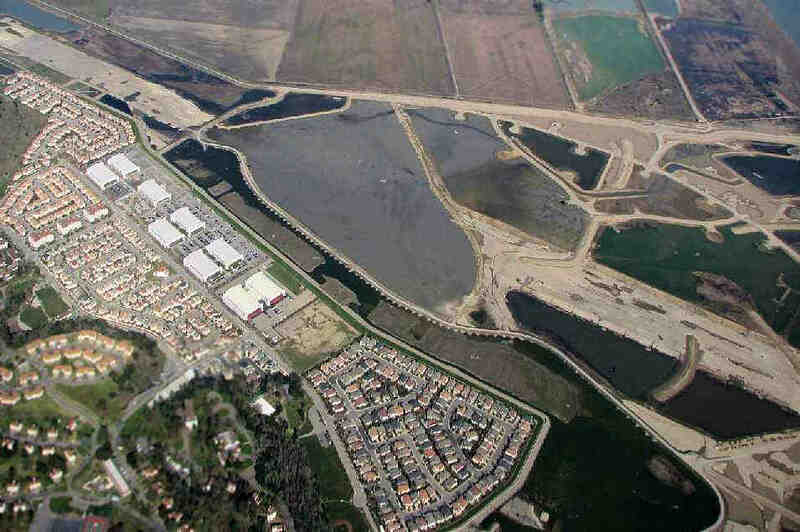 The runway of the replacement San Rafael Airport, located on the opposite side of the Gallinas Creek, is visible at top-left. 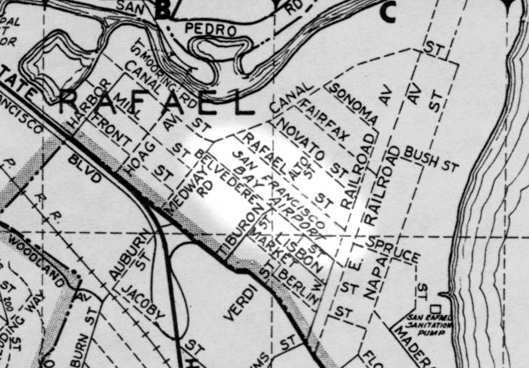 The site of the original San Rafael Airport is located at the intersection of Adrian Way & La Pasada Way. Thanks to Marc Salvisberg for pointing out this airfield. 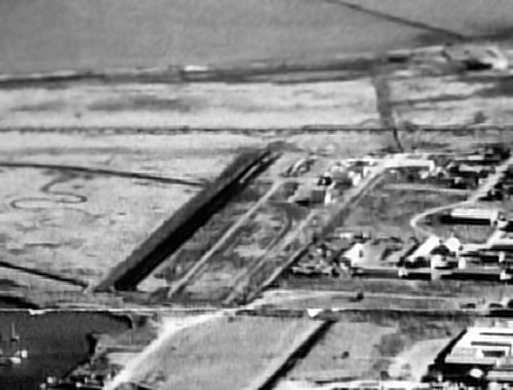 The earliest depiction that has been located of the San Francisco Bay Airport was a 1946 aerial view. 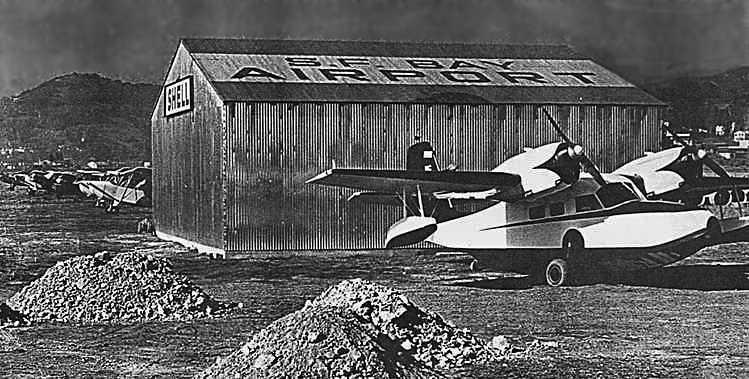 San Francisco Bay Airport was a little general aviation field that served the residents of San Rafael, the largest city in Marin County. The earliest depiction which has been located of the San Francisco Bay Airport was a 1946 aerial view. with several small buildings & at least 4 light aircraft on the south side of the field. comes from George Harper, who recalled, “I continued my flight training at this airport. I started on 11/22/47. I received my private & commercial ratings. My instructors were R. F. Knapton & H. O. Talefson. 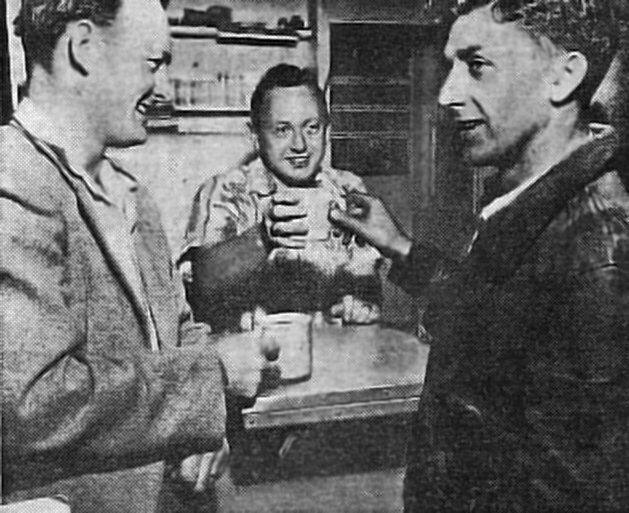 Note Talefson also in 1947 gave many check flights to Hamilton Field Air Force Pilots for their civilian pilot's licenses. Super Cruisers, a Stinson Voyager, Taylor Craft, Stearman PT-17, a Vultee BT-13 and a Ryan PT-22. I got to fly them ALL! 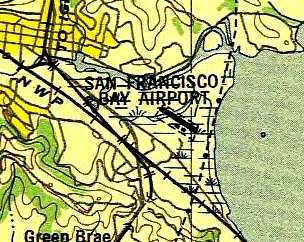 San Francisco Bay Airport was not yet depicted on the 1947 USGS topo map. The 1948 San Francisco Local Aeronautical Chart (courtesy of Tim Zukas) depicted San Francisco Bay Airport as having a mere 1,900' unpaved runway. 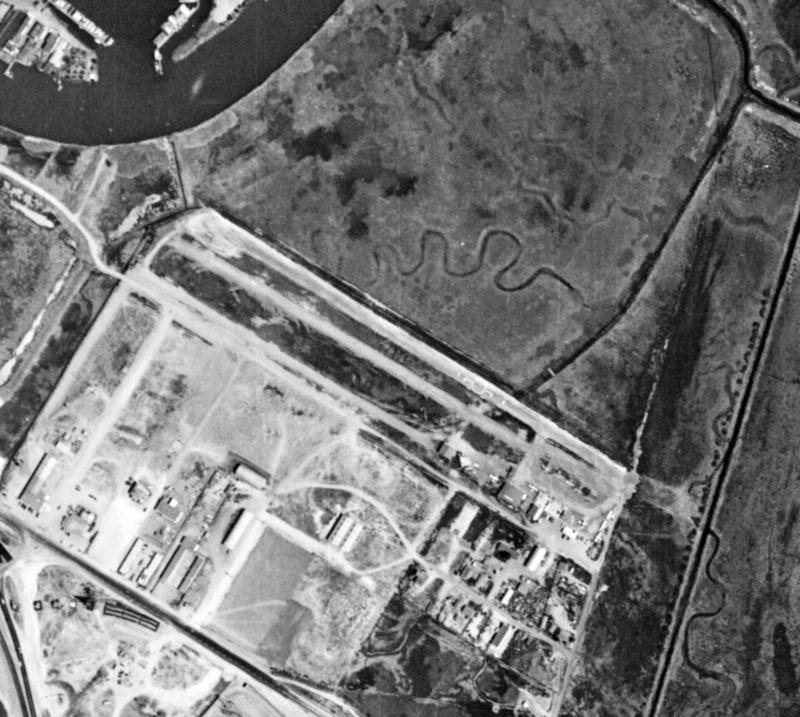 A 1948 aerial view depicted at least 2 light aircraft on the south side of San Francisco Bay Airport. 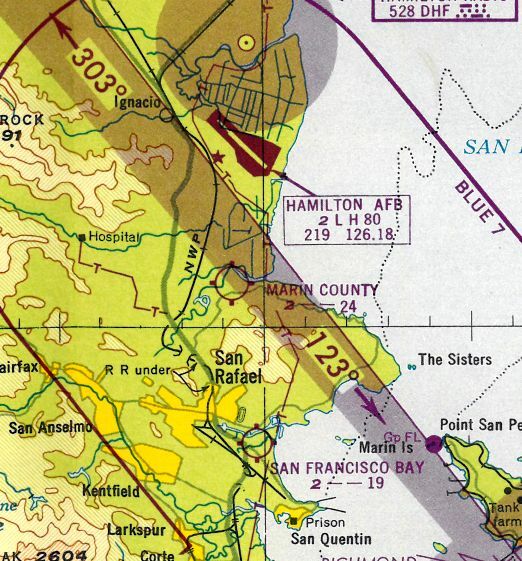 The 1949 USAF Urban Area Chart depicted San Francisco Bay Airport as having a single northwest/southeast runway. 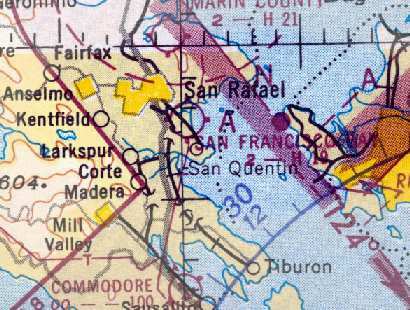 The 1950 USGS topo map depicted the San Francisco Bay Airfield as having a single northwest/southeast runway. An undated aerial view looking north at San Francisco Bay Airport from the 1950 Air Photo Guide (courtesy of Kevin Walsh). It described San Francisco Bay Airport as having a 1,800' paved east/west runway, and listed the manager as Charles Kleinclaus. An advertisement for San Francisco Bay Airport from the 1950 Air Photo Guide (courtesy of Kevin Walsh). San Francisco Bay Airport, as depicted on the 1951 San Francisco Sectional Chart (courtesy of Jonathan Westerling). The 1951 San Francisco Sectional Chart (courtesy of Jonathan Westerling) described San Francisco Bay Airport as having a 1,900' paved runway. and several small hangars & a dozen light aircraft on the southeast side. 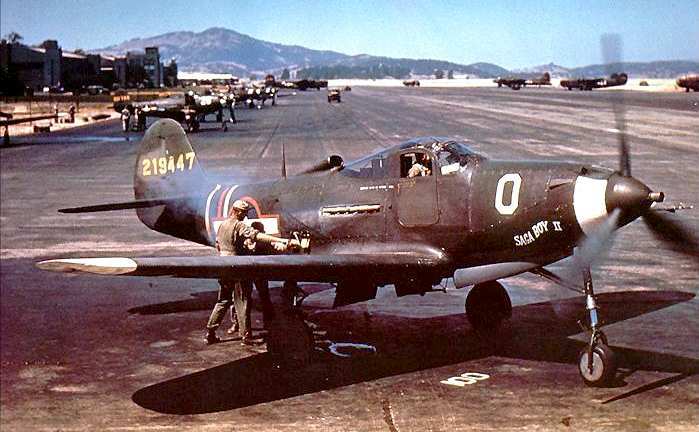 based at San Francisco Bay Airport" (photo by Bob Hax, courtesy of the Marin County Library, via Jonathan Westerling). serving coffee to Pilot John Williford, left, and Jimmy Rusch, airport manager & maintenance specialist. Photo: by Bob Hax, courtesy of the Marin County Library, via Jonathan Westerling. According to Jonathan Westerling, San Francisco Bay Airport was owned by Jimmy Rusch. It had full services along with a small café on the south east side of the airstrip. 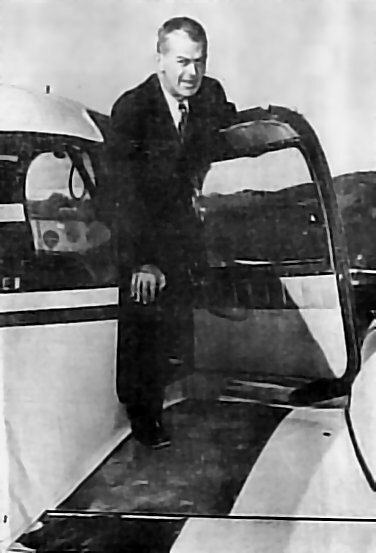 Flight lessons were offered by a Mr. & Mrs. Bob Short, and several young pilots were trained there. seeking the more advanced medical facilities of the bay area. 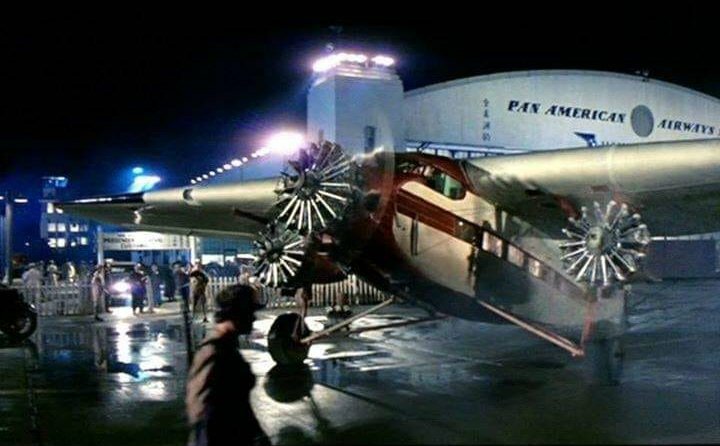 When filming the movie "Blood Alley", John Wayne based his Cessna at the San Francisco Bay Airport. reported that a single-engine Cessna 195 en route to Detroit crashed into the canal adjacent to San Francisco Bay Airport. Killed in the crash was Charles Kleinclaus Jr., part owner of the San Francisco Bay Airport. 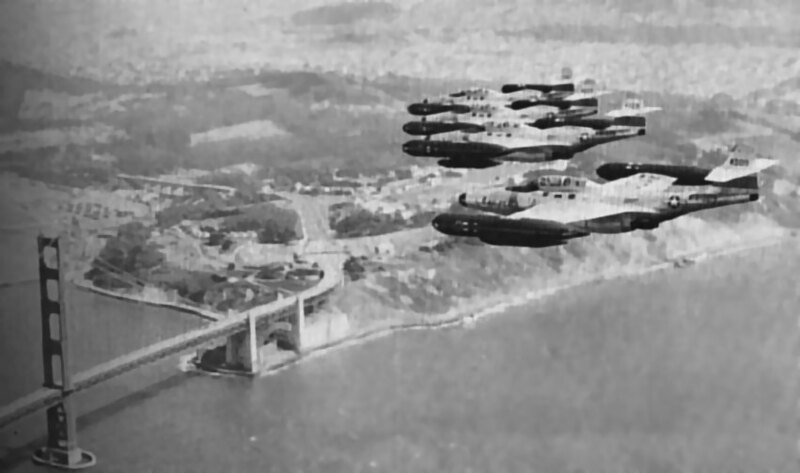 A 1952 aerial view depicted 6 light aircraft on the south side of San Francisco Bay Airport. with 3 small buildings south of the east side of the runway. (photo courtesy of the Marin County Library, via Jonathan Westerling). A short article about San Francisco Bay Airport appeared in the 3/26/55 issue of Marin Magazine (thanks to Jocelyn Moss of the Marin Historical Society Library). 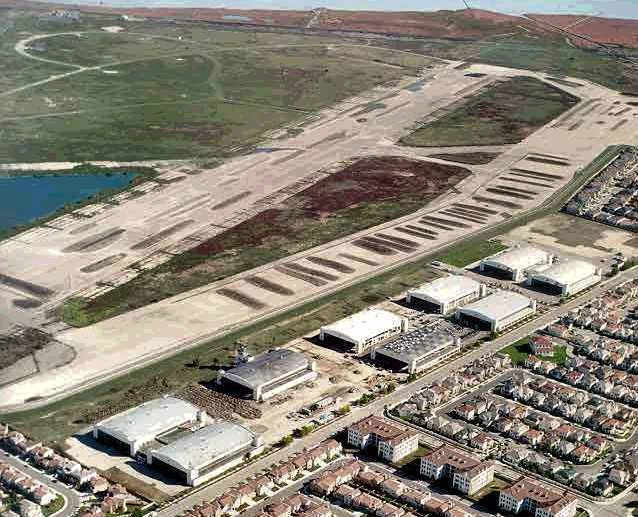 "The Airport is located at the end of Railroad Avenue which runs north from San Francisco Boulevard at California Park. It is managed by Jimmy Rusch who also has charge of maintenance. Rusch reports that right now, pleasure flyers outnumber business flyers who are also using the airport & their number is growing constantly. Many flyers, however make an effort to combine business & pleasure, something that they wouldn't have time to do if they traveled by automobile." showing a single runway with several small hangars along the south side. The photo was found in 2007 hanging along the wall in the San Rafael City Hall. 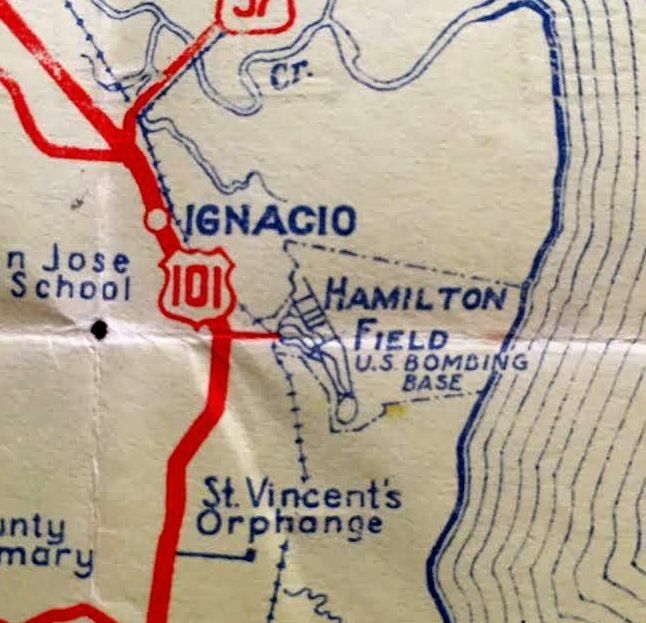 A street map from the mid 1950s, showing how streets had sprung up surrounding the little San Francisco Bay Airport (courtesy of Jonathan Westerling). with a total of 17 light aircraft visible parked outside on the field. 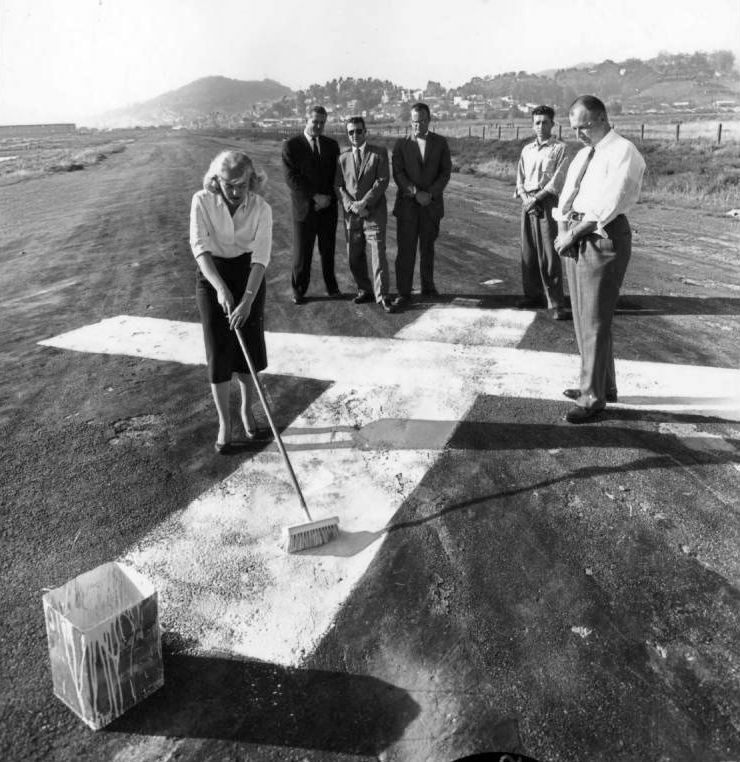 A May 1959 photo of a closed-runway “X” symbol being painted on the San Francisco Bay Airport's runway, upon the sad occasion of the airport's closure. 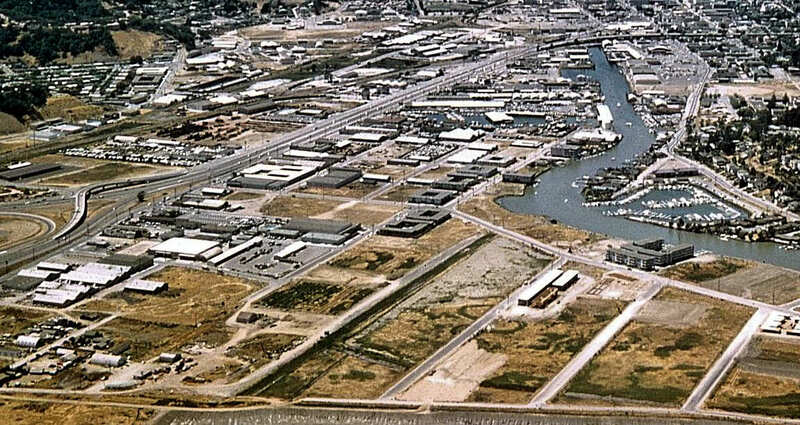 A 1961 aerial view looking northeast showed the remains of the San Francisco Bay Airport a year after its closure (courtesy of Marc Salvisberg). A 1961 aerial view by Rudolf Barton looking at the site of the San Francisco Bay Aiport (courtesy of Kevin Walsh). 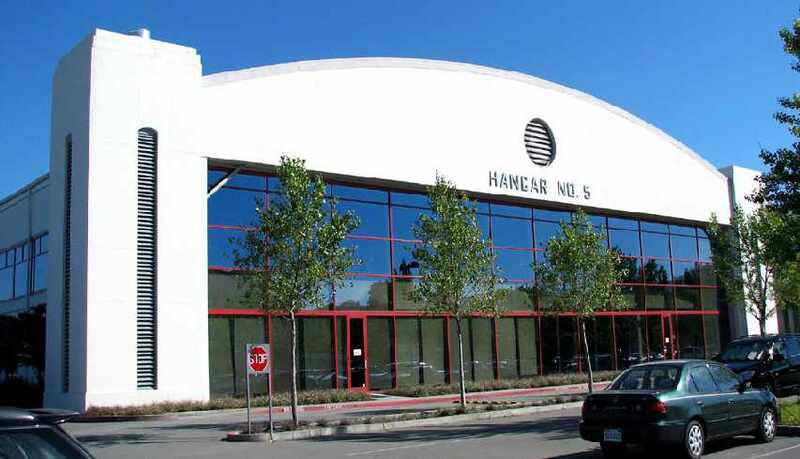 Within a few years of its closing, the San Francisco Bay Airport property succumbed to an industrial development. 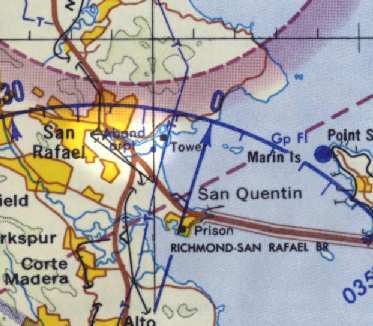 San Francisco Bay Airport, labeled "Aband arpt" on the 1965 San Francisco Local Aeronautical Chart (courtesy of Jonathan Westerling). The 1966 USGS topo map continued to depict the San Francisco Bay Airport, even though it had been closed for 7 years by that point. 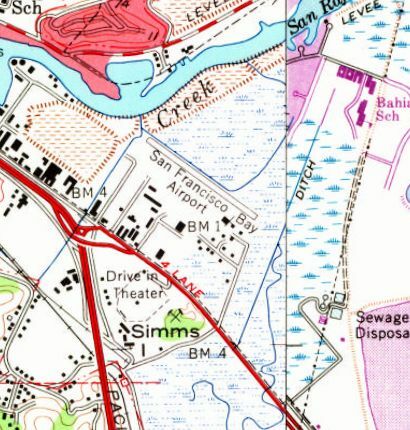 The 1969 USGS topo map depicted new streets covering the site of San Francisco Bay Airport. described how barge workers dredging private docks in the San Rafael Canal scooped up an airplane engine with its propeller still attached. 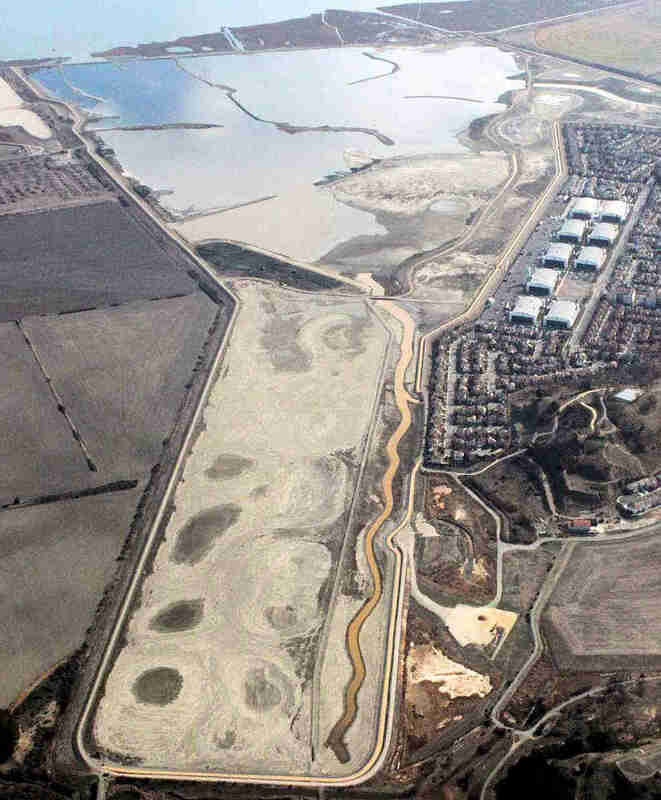 A 2018 aerial view shows not a trace appears to remain of San Francisco Bay Airport. Hamilton Field, as depicted on a 3/12/32 War Department Plan (courtesy of Kevin Walsh). This large military airfield was located along the northern shore of San Francisco Bay. 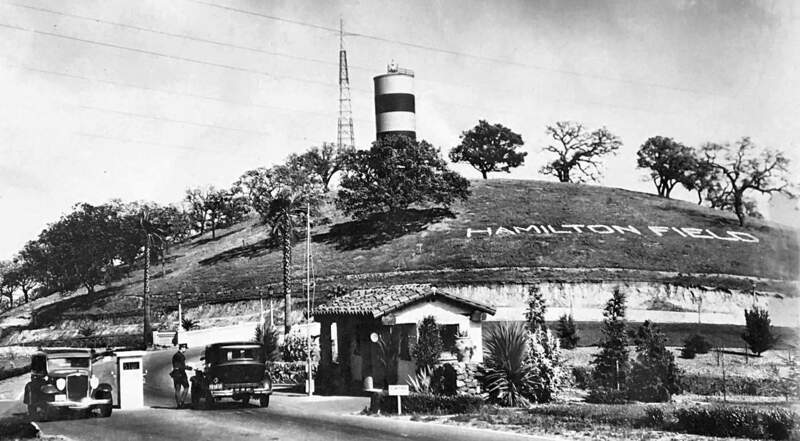 With formal development beginning, it was named Hamilton Field in 1932. Construction at Hamilton Field had begun in 1932, with the airfield being originally designed to accommodate 4 bomb squadrons & their personnel. 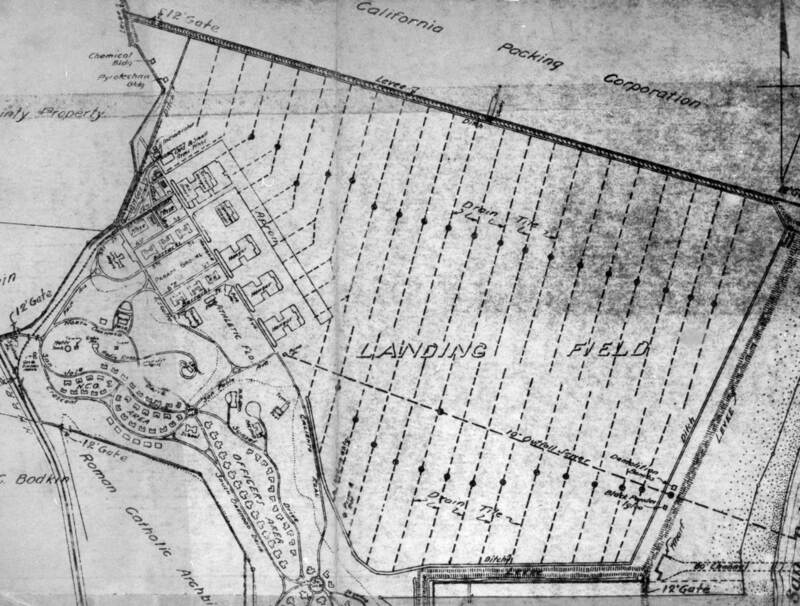 The earliest depiction which has been located of Hamilton Field was a 3/12/32 War Department Plan (courtesy of Kevin Walsh). It depicted 5 hangars & an apron on the west side of an irregularly-shaped landing field. Captain John M. Davies' 70th Service Squadron arrived in December 1932 as the first squadron assigned to the base. Hamilton Field was labeled as “U.S. 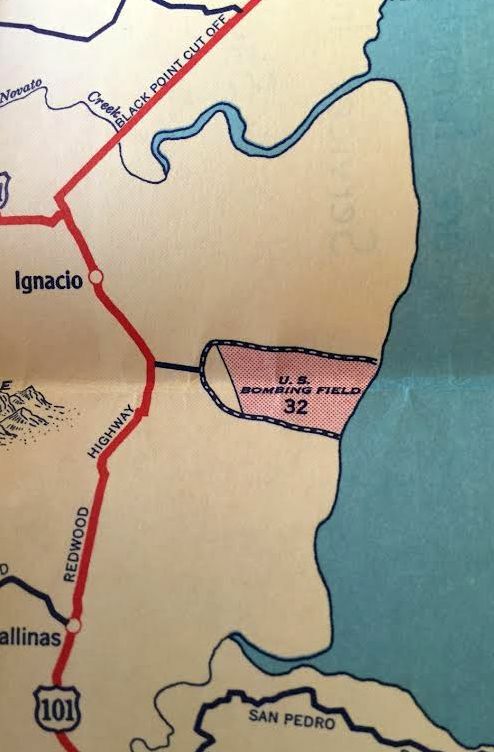 Bombing Field” on a 1932 street map (courtesy of Kevin Walsh). 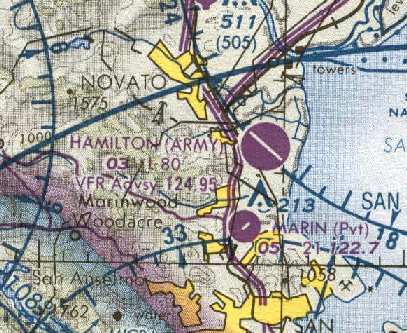 No airfield was yet depicted at the site of Hamilton AAF on the 1933 San Francisco Airway Map (courtesy of Chris Kennedy). The earliest photo which has been located of Hamilton Field was a 9/10/34 aerial view looking southeast. It depicted 9 large arch-roof hangars & many other buildings to the west. 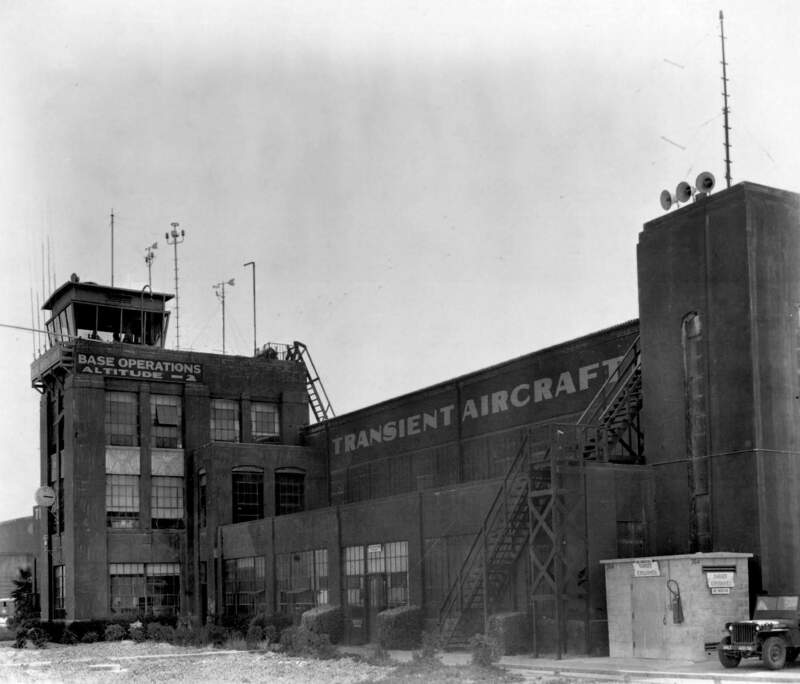 A circa 1934 of the newly-constructed Hamilton Field hangars (courtesy of Kevin Walsh). In 1934, the 7th Bombardment Group arrived to take station, having been transferred up from March Field. The new base was designated that year as General Headquarters of the 1st Pursuit Wing. A 5/12/35 photo of the dedication of Hamilton Field (courtesy of Kevin Walsh). The field was ceremonially handed over by California Governor Merriam (left) to Brigadier General Henry 'Hap' Arnold (right). “Hamilton Field (U.S. Bombing Base)”, as depicted on a 1936 street map (courtesy of Kevin Walsh). An undated aerial view in The Airport Directory Company's 1937 Airports Directory (courtesy of Bob Rambo) looking west at Hamilton Field. It depicted 7 large hangars adjacent to the runway. The directory described Hamilton Field as having a 3,500' landing mat running parallel to the hangars, as well as 2 shorter graded runways. An undated photo of Hamilton Field's entrance gate from a 5/27/37 article (courtesy of Kevin Walsh). 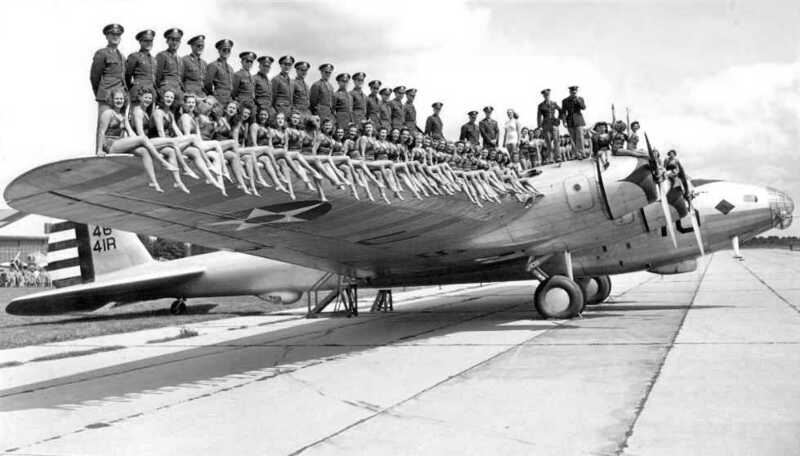 An undated (circa 1937-40) promotional photo touting the size & strength of the sole prototype of the Boeing XB-15 bomber at Hamilton Field (courtesy of John Voss). A circa 1939 photo of 2 Douglas B-18 Bolo bombers & an unidentified biplane at Hamilton Field. A 1939 photo of a Douglas B-18 Bolo bomber being towed from Hamilton's Hangar 9. Hamilton Field, as depicted on the 1939 Sectional Chart (courtesy of Dann Shively). depicted multiple aircraft parked in front of the row of checkerboard-roofed hangars. 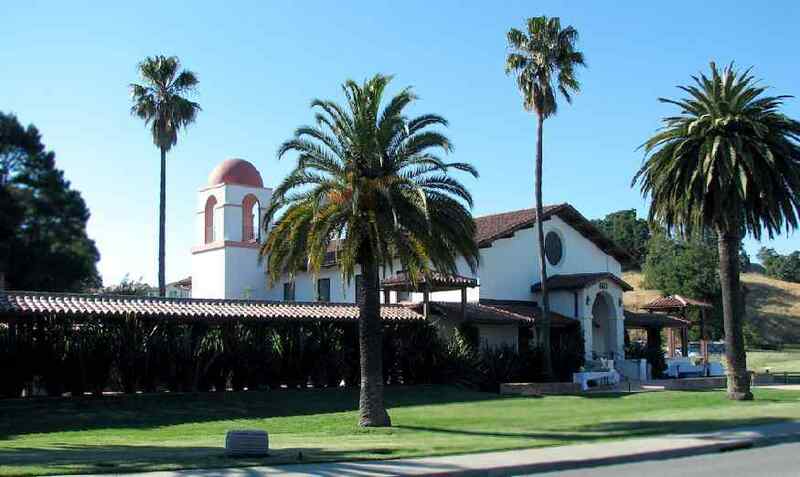 of Spanish California homes than the Army's Pursuit Base for northern California." It had by that time received $5 million in development. the 35th Pursuit Group (Interceptor), and the 82nd Observation Squadron, totaling over 4,000 officers & men. 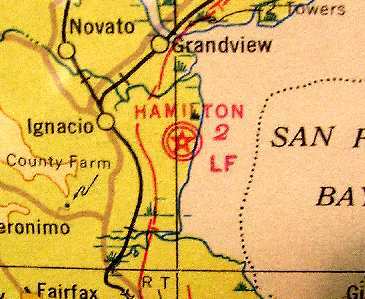 A 1941 Marin County map depiction of Hamilton Field, labeled simply as “U.S. Mil. Res.” (courtesy of Kevin Walsh). Kevin Walsh noted, “In 1941 an access road ran from the Redwood Highway to the base, which lay entirely east of the railroad tracks. This must represent the smaller base footprint of the time, when one crossed the tracks to reach the guard shack/gate at the base of the hill. A 1941 photo of dozens of Curtiss P-40 fighters in front of a Hamilton hangar. warehouses, Link trainer buildings, schools, hospital & other structures. A beautiful 1943 portrait of a Bell P-39 Airacobra at Hamilton Field (courtesy of National Air & Space Museum). before shipping out to England to join the Eighth Air Force in July 1943.
with the hand crank to get the inertia starter going." A WW2 photo of an unidentified group in front of a Bell P-39 Airacobra & 2 other Army planes at Hamilton Field (courtesy of Kevin Walsh). The 4/1/44 US Army/Navy Directory of Airfields (courtesy of Ken Mercer) described Hamilton AAF as having an 8,000' hard-surfaced runway. and it had auxiliary fields at Napa, Montague, & Willows. A 1945 aerial view looking west at Hamilton depicted the exponential growth which the base experienced during WWII. Dozens of Douglas C-54 Skymaster transports lined the parking ramp with a few other types. 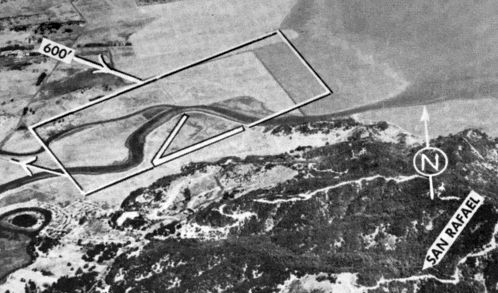 The area to the lower right of the runway was known as the "pea patch" and showed the parking dispersal hardstands for fighter planes. These revetments were designed to allow fighters to survive an initial attack and launch to defend the base. In later years the "pea patch" was where mechanics performed engine tests on afterburner-equipped jet interceptors. 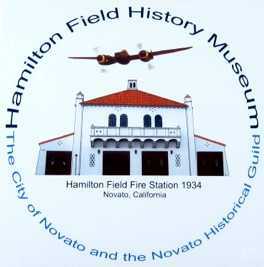 In the postwar era, Hamilton Field was reassigned to the Continental Air Forces in 1945. 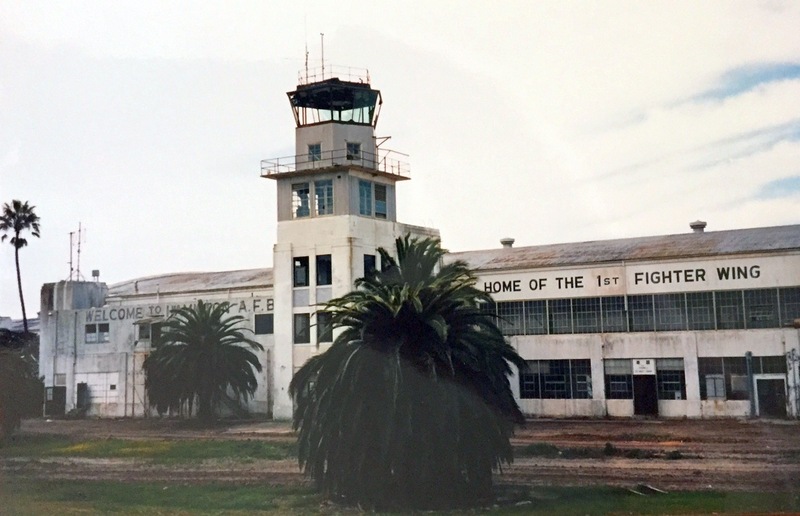 A circa 1946-49 photo by Don Reid (courtesy of Bruce Reid) of Hamilton Field's Base Operations & control tower attached to a hangar. Note the legend indicating a field elevation of 2 feet below sea level. 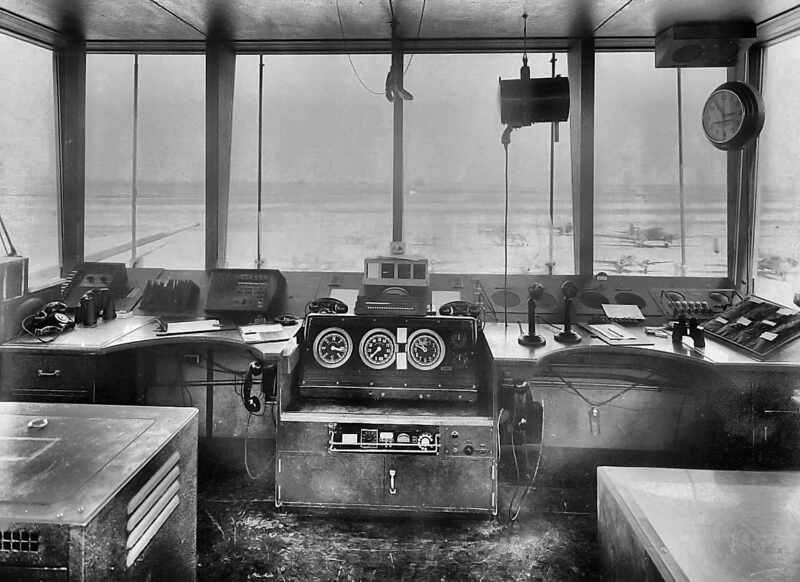 A circa 1946-49 photo by Don Reid (courtesy of Bruce Reid) of the interior of Hamilton Field's control tower. Note the variety of aircraft outside on the ramp. 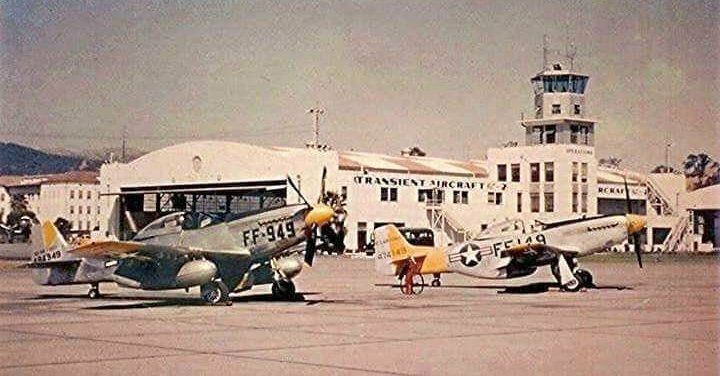 A 1947 or later photo of 2 North American P-51 Mustangs in front of Hamilton Field's control tower & a hangar. 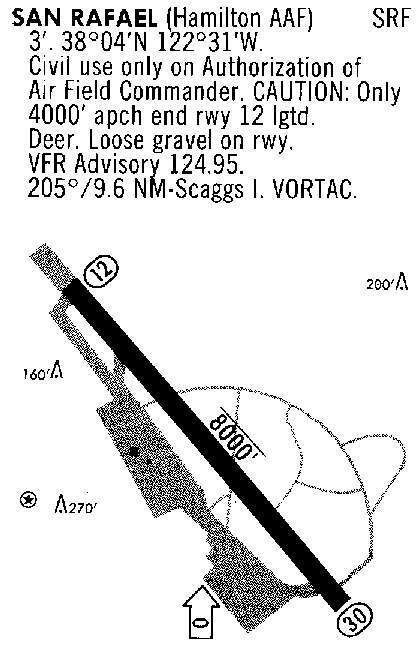 depicted Hamilton AFB as having a, 8,000' paved northwest/southeast runway. and it was reassigned to the Air Defense Command in 1951. 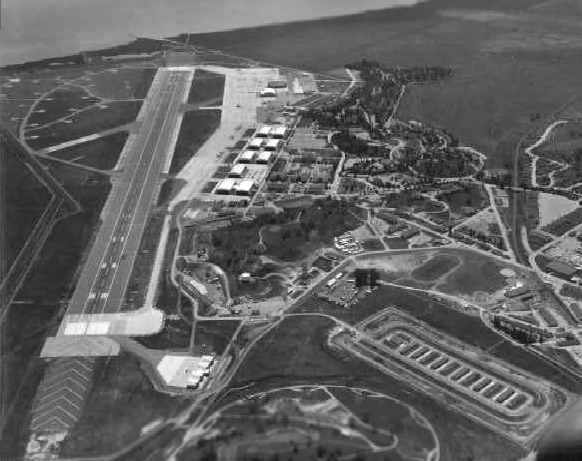 An amazing 8/16/52 aerial view (from the UCSB Library) depicted a large number of aircraft on the Hamilton AFB ramp. 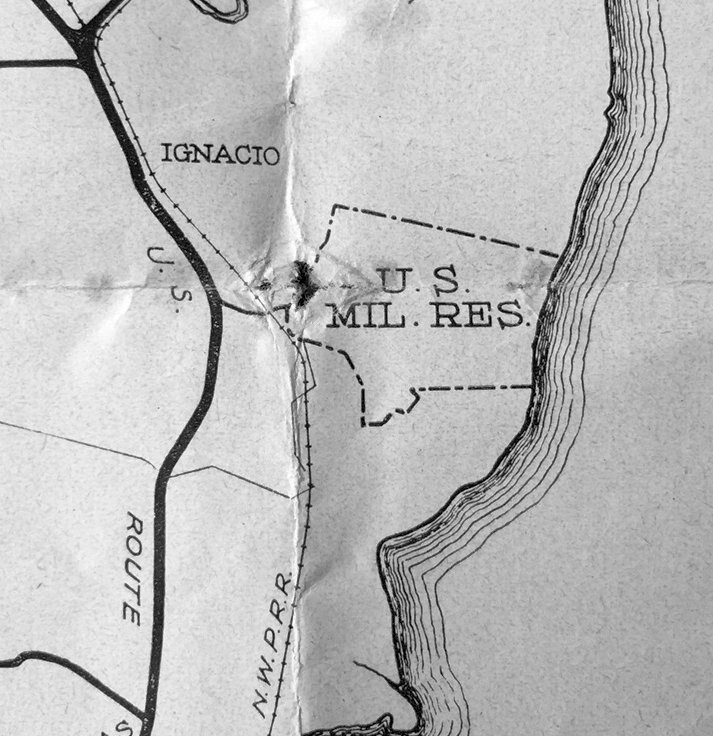 Hamilton AFB, as depicted on the 1954 USGS topo map. Richard Bickel recalled, “Hamilton AFB... I was an Air Traffic Control Radar technician there working on the ASR & PAR systems from 1956-58. I witnessed the only emergency landing of a U-2 aircraft at that base during graveyard shift, in late 1958. I had just finished a tune-up on the AN/FPN-16 PAR radar 100' from the edge of the runway. from the 1958 Hamilton AFB Directory & Guide (courtesy of Jonathan Westerling). A circa 1950s photo of an F-104 Starfighter inside an alert shed at Hamilton (courtesy of Bill Eaton). In 1959 Hamilton's runway was upgraded to accommodate F-101 & F-104 fighter operations. depicted Hamilton AFB as having a single 8,000' paved northwest/southeast runway. A 1961 aerial view looking southeast along Hamilton's massive ramp, showing T-33 T-Birds & F-101 Voodoos galore. In 1961, Hamilton's 83rd & 84th Fighter-Interceptor Squadrons were both equipped with the McDonnell F-101B Voodoo. used by staff officers to use in their spare time to remain on flight status & thus get their flight pay. just after arrival at Hamilton for the May 1964 open house. In the words of Bill Eaton, "It is parked abeam either Hangar 3 or 5. 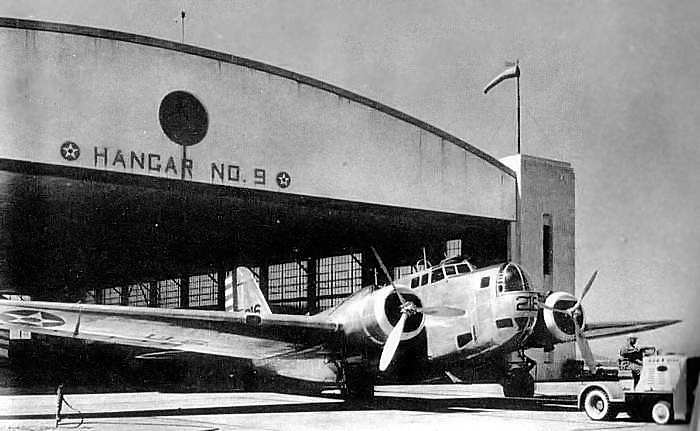 Note the checkerboard on the roof of the hangar - very 1930s. The crew has placed their helmets ('bone domes') atop the canopy. One gust of wind and they'd roll off & go 'crunch' on the ramp. But it's May & there was probably little or no wind on such a gorgeous Spring morning in the Bay Area. pitch up, land, and taxi in while people ran over to take a picture. in his flight suit looking like Steve Canyon." An undated (circa 1960s) photo of USAF F-101B Voodoo interceptors in front of a Hamilton hangar. 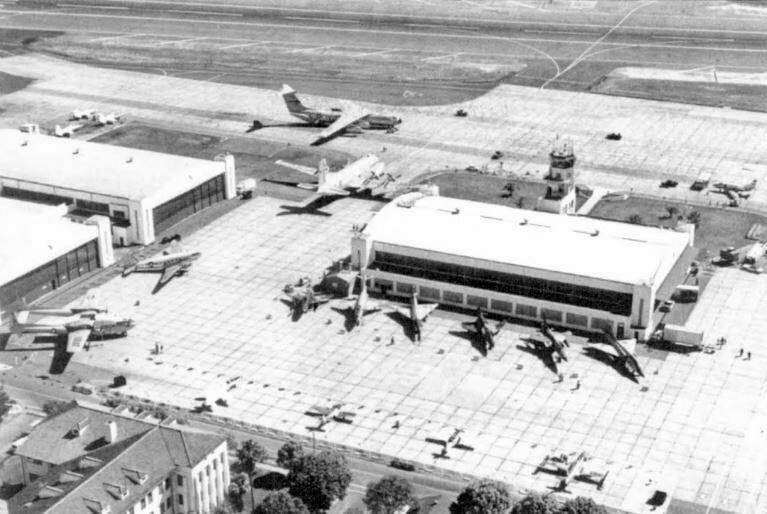 A circa 1960s aerial view looking north at a wide variety of USAF aircraft on the Hamilton ramp. 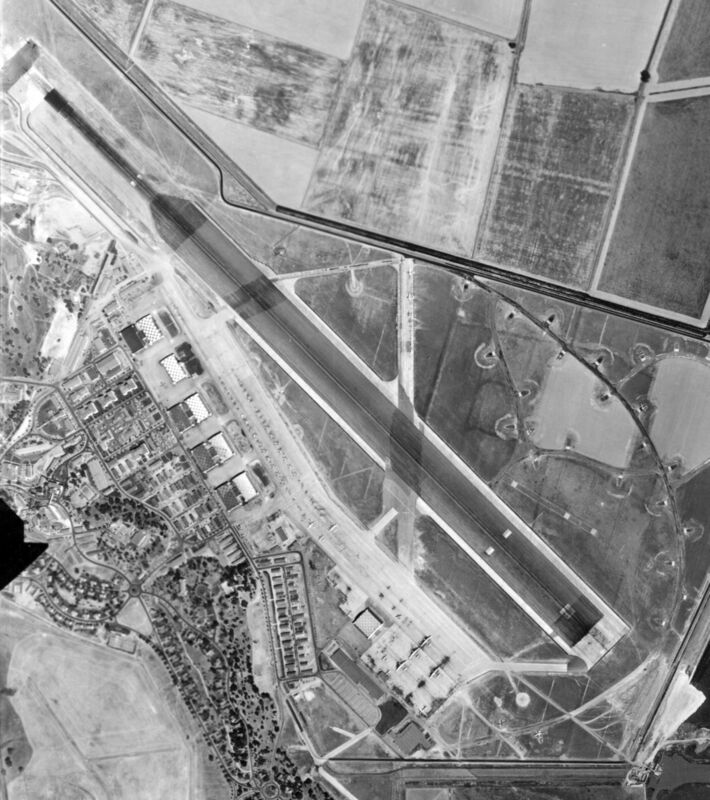 A 7/2/65 USGS aerial view (from the UCSB Library) depicted a large number of aircraft on the Hamilton AFB ramp. 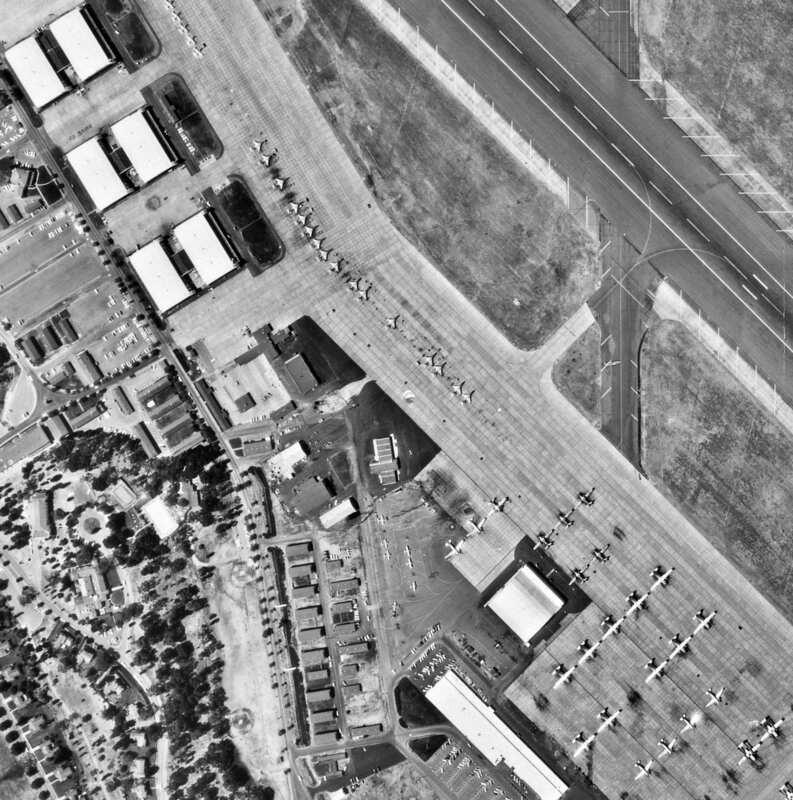 A closeup from the 7/2/65 USGS aerial view (from the UCSB Library) showing F-101 Voodoos & other aircraft on the Hamilton AFB ramp. and shortly thereafter a large Air Force Reserve C-124 maintenance hangar was built on the southeast end of the ramp. A 1966 aerial view looking northeast towards Hamilton's control tower (courtesy of Rex Ricks). A VC-121A Constellation was parked on the left/west side of Hangar 7. The Transient Aircraft line on the ramp side of Hangar 9 at upper left had visible 2 T-38 Talon trainers, a T-33 trainer, and an F-102 interceptor. At far left were 2 C-47s & a C-131 transport. At far right on the ramp were several T-33s belonging to Hamilton's 78th Fighter Wing. 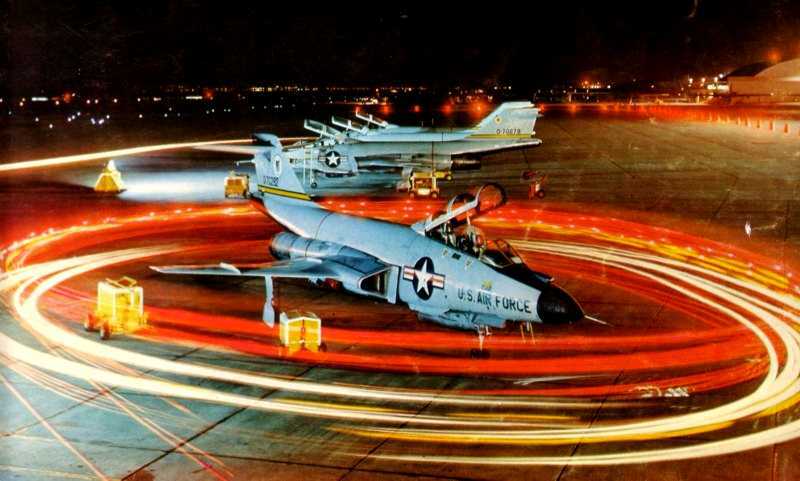 A 1967 time-lapse photo of USAF maintenance vans circling an 84th FIS F-101B Voodoo interceptor at Hamilton. showing an F-101 Voodoo crew performing a scramble from their alert shed at Hamilton. 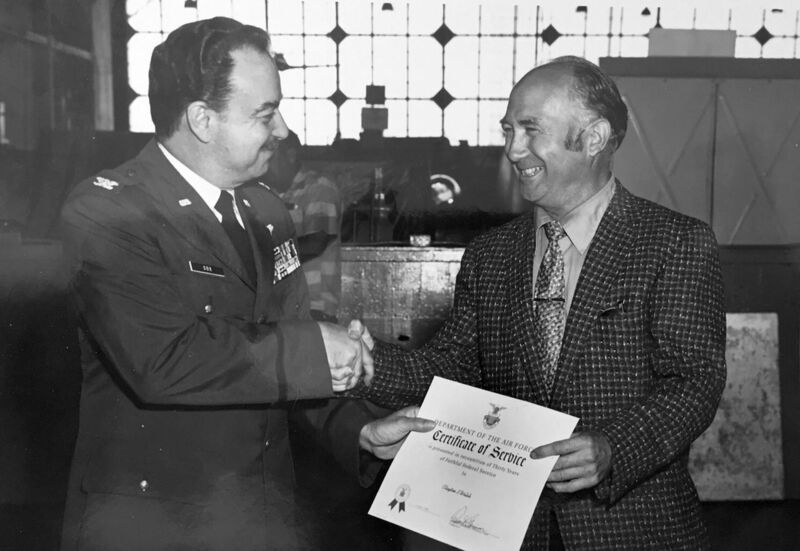 Hamilton was reassigned to the Aerospace Defense Command in 1968.
and Msgt. 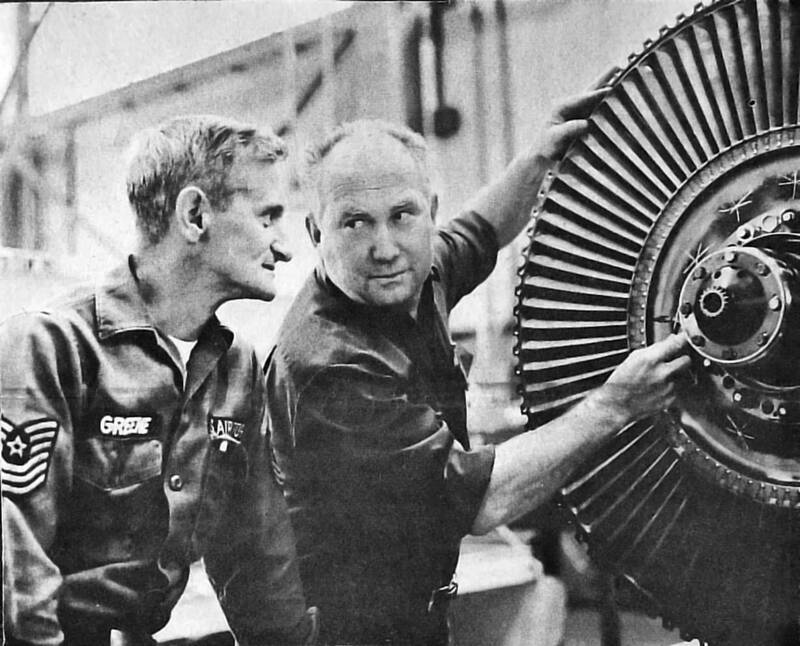 Thomas Greene, supervisor of J-75 section, checking the installation of a #3 turbine wheel of a Convair F-106 Delta Dart engine. Kevin Walsh recalled that his father was an “Engine Mechanic, making the transition from props to jets, naturally. He also subbed for a few months at the test cell circa 1968, and I always thought that was a rather cool place. When his 1950 Chevy was getting tired, circa 1960, he bought the Base's Red Cross' surplus 1956 Chevy! Unfortunately it was then painted all in black, which made it feel like an oven during those summer trips across the central valley up to Tahoe. 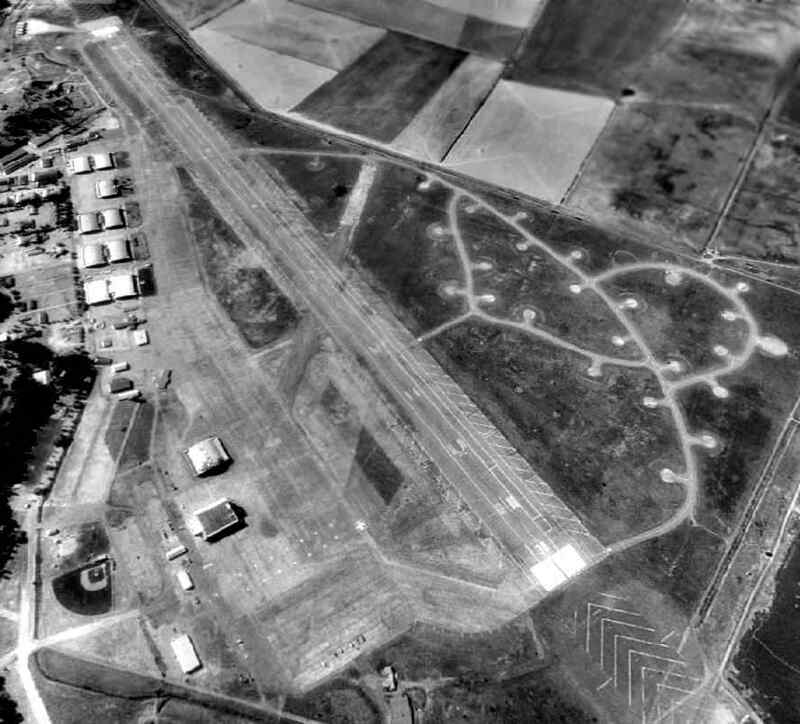 A circa 1970 aerial view looking northwest at Hamilton Field from final approach to Runway 30. 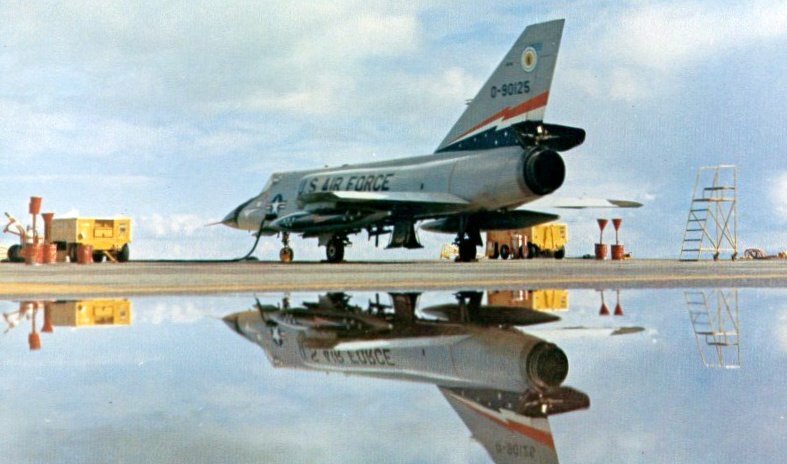 A 1971 photo of a pretty Convair F-106A Delta Dart & its reflection on a wet Hamilton AFB ramp. An undated (circa 1970?) photo of the beautiful Hamilton AFB gate (courtesy of Kevin Walsh). slowing to taxi speed on Hamilton's Runway 30 with the help of a drag chute. A 1972 photo (courtesy of Kevin Walsh) at Hamilton Field. thus bringing to an end a glorious era in Marin County history. Hamilton was reassigned to the Air Force Reserve in 1973.
showing only a few aircraft still visible on the ramp. Hamilton Air Force Base was decommissioned in 1974.
the housing to the Navy & a 411-acre parcel to the General Services Administration (GSA) for public sale. The Pacific Strike Team of the Coast Guard occupied 2 of the historic hangars. 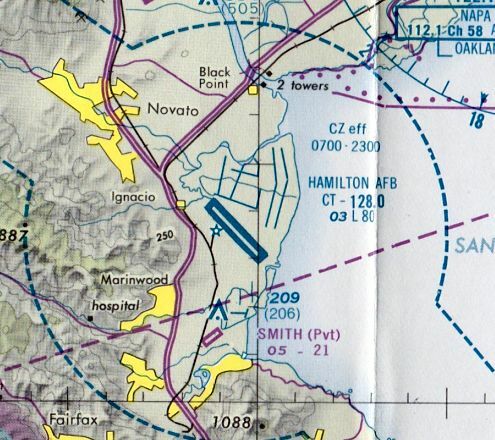 The 1975 San Francisco Terminal Aeronautical Chart depicted Hamilton AFB as having a single 8,000' paved northwest/southeast runway. 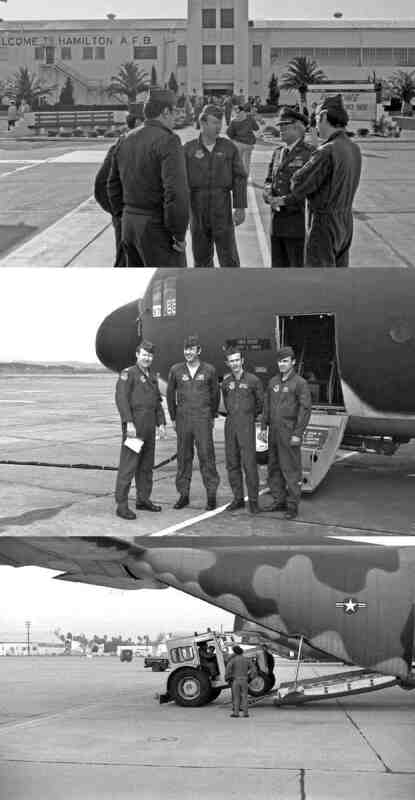 A series of 3 photos (courtesy of Carl Kangas) of the last Air Force flight from Hamilton on 1/9/76, by a 336th TAS C-130 Hercules. Carl reported the 1st photo shows “the briefing in front of base operations. The 3rd photo shows “the heavy tractor being loaded to be flown to March AFB. After take off Bob Shepherd came around for a low pass for the cameras & pulled up to about a 50 degree angle. All the while I am hoping the load master did a good job of chaining down that tractor. When Hamilton was slated for closure, the squadron was moved to March AFB. 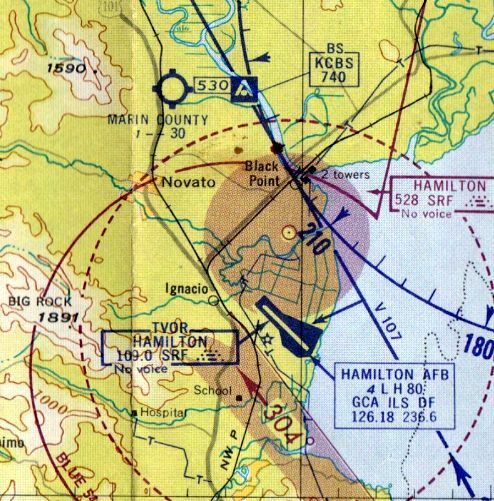 The 1980 USGS topo map depicted Hamilton's massive airfield, but did not label it at all, strangely. in front of a hangar painted “Pan American Airways” for the production. 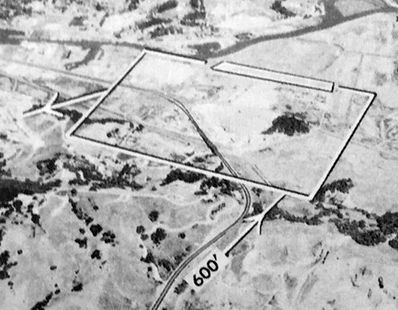 A 411-acre Hamilton parcel was sold by the General Services Administration in 1985. 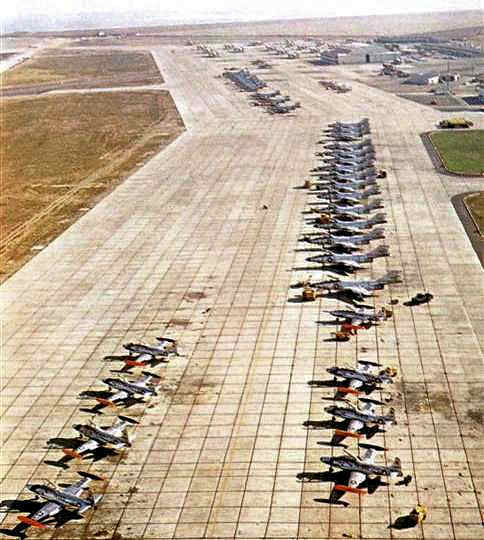 The last photo which has been located showing aircraft at Hamilton AFB was a 1987 photo of the Wings of Freedom Airshow (courtesy of Kevin Walsh). as a 1987 aerial view showed Hamilton's huge ramps completely devoid of even a single aircraft. A 1988 airport diagram of Hamilton, its last year of operation. 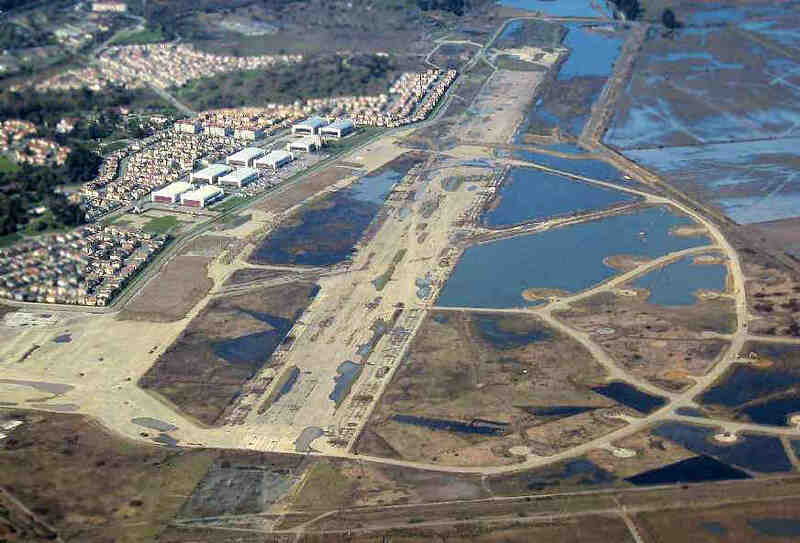 The 1988 Base Realignment & Closure (BRAC) closed the Hamilton airfield. extensive ramp areas, and 9 large hangars. and those holding varying intermediate degrees of opinion. Hamilton AAF, as depicted on the 1990 San Francisco Sectional Chart (courtesy of Dann Shively). Tim Tyler visited Hamilton Field in 1990.
including a large number of decrepit looking wooden barracks apparently left over from the WW2 era. That area was marked as 'Off Limits' and probably scheduled for demolition. The airfield was looking pretty rough, but there were some Army/National Guard UH-1s on the ramp. assigned to various active military installations (mostly Navy) that were still active in the Bay Area then." 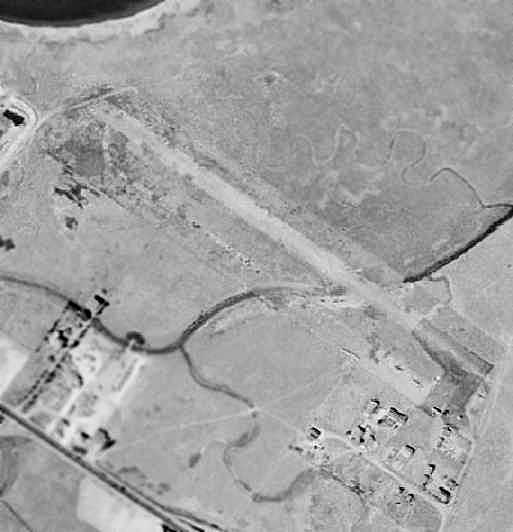 The last photo which has been located showing the massive Hamilton airfield still intact was a 7/9/93 USGS aerial view looking north. 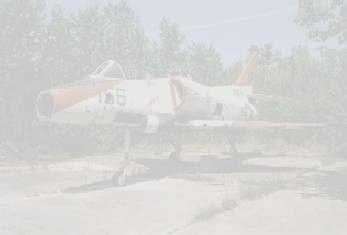 Although the field remained intact, no aircraft were visible. Note the multiple WW2-era fighter dispersal pads east of the runway. 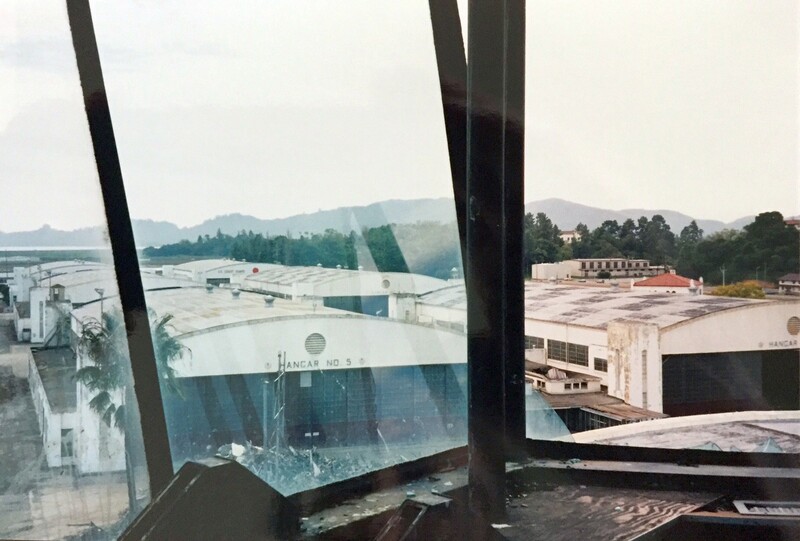 A 1993-95 view looking east at the Hamilton Field hangars, control tower, and other buildings (courtesy of Kevin Walsh). 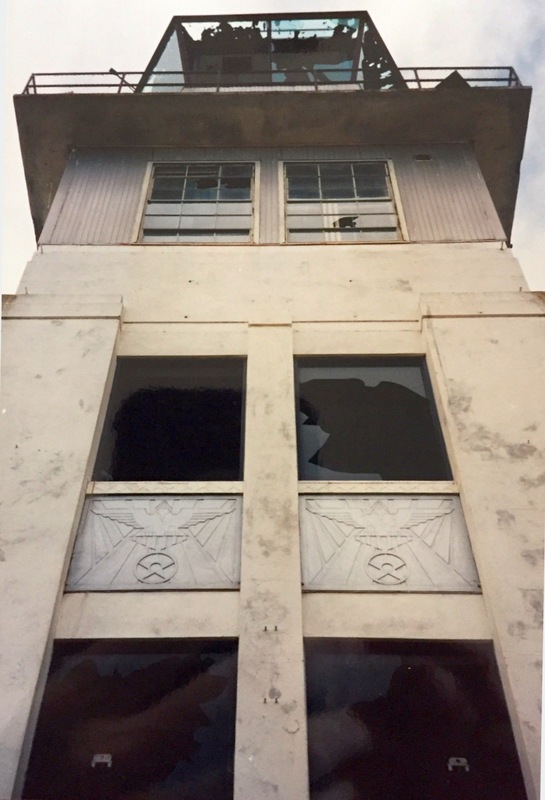 A 1997 photo by Kevin Walsh looking up at Hamilton Field's deteriorating abandoned control tower. A 1997 photo by Kevin Walsh from Hamilton Field's control tower looking down on its rows of hangars. 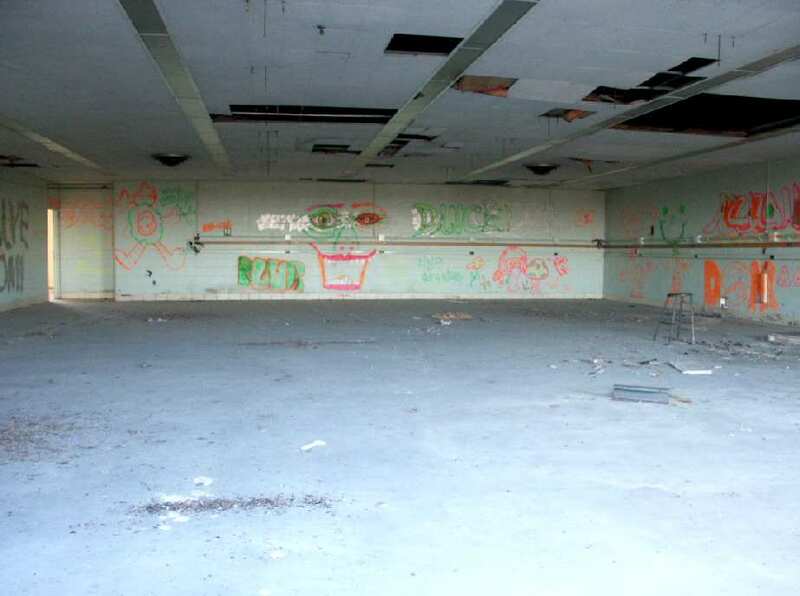 A 1997 photo by Kevin Walsh of the interior of an abandoned Hamilton Field hangar. 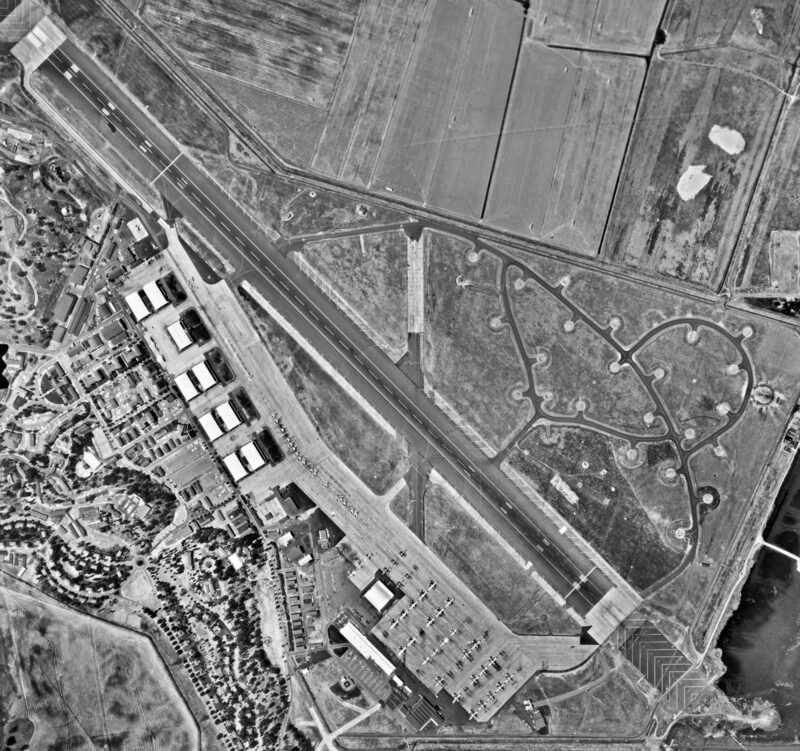 A circa late 1990s aerial view looking northeast at Hamilton's hangars, ramp & runway. with all of the aviation facilities to be removed. it is a shame to see it completely destroyed. A 2002 photo by Tim Tyler of the line of hangars which remain standing at Hamilton Field. A 2002 photo by Tim Tyler of a sign for Hamilton Landing. A 2002 photo by Tim Tyler of the "Future Home of the Hamilton Field History Museum". Tim observed, “I came out to the old Hamilton AFB to see how much it'd changed since I last visited it in 1990. Twelve years later, the base had changed a lot. First of all, it's no longer a base. Many structures have been removed & replaced with a housing subdivision known as Hamilton Landing (nice pun)." A 2002 photo by Tim Tyler of hangars which remain standing at Hamilton Field. The hangar on the right has a legend entitled "Air Force Shops". 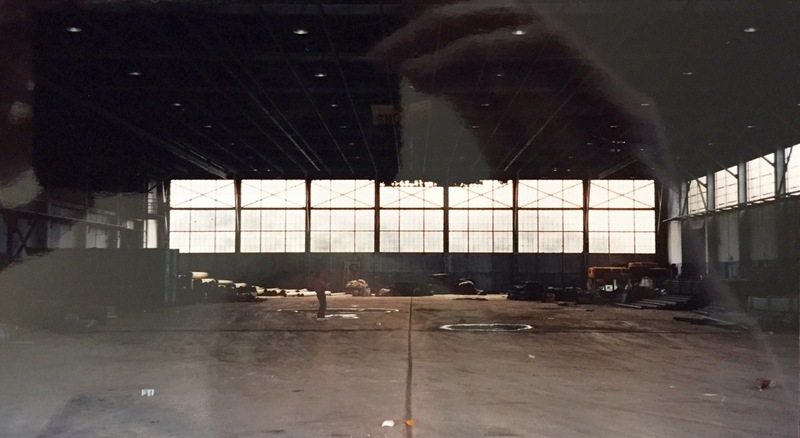 A 2002 photo by Tim Tyler of Hamilton's Hangars 5 & 6, which have been renovated. A 2002 photo by Tim Tyler of the gutted remains of Hamilton's control tower. A 2002 photo by Tim Tyler of the remains of a hangar & the control tower at Hamilton Field. Tim remarked, “The historic old main hangars were somewhat intact. and others as of my April 2002 visit were empty shells. Several other old AAF/AFB buildings were intact, and either awaiting destruction, or renovation." A 2002 photo by Tim Tyler of the sign at the Coast Guard installation which remains at Hamilton Field. A 2002 photo by Tim Tyler of Coast Guard hangars at Hamilton Field. pull up to the CG area & pick up personnel & equipment to transport them to the incident scene." 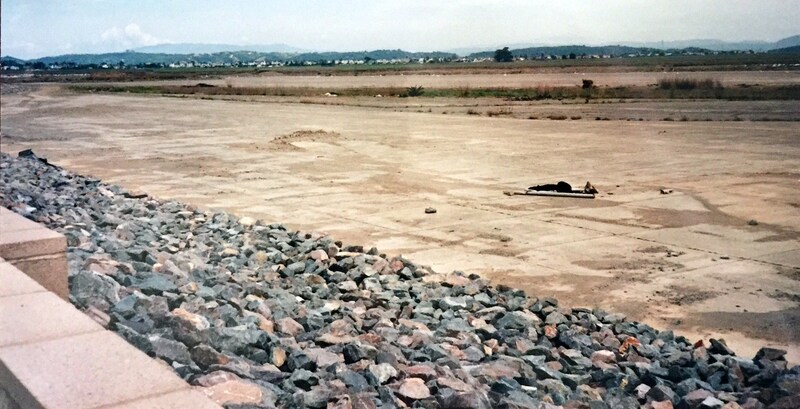 A 2002 photo by Tim Tyler of the dike which has been constructed along the former airfield area of Hamilton Field. though I understand the plan was to flood the area & turn it into a marsh." checking out various old buildings & facilities located along the runway area. It looks like they've got a lot of work to go before they ever just flood the whole area." located adjacent to the south side of Hamilton's runway. and then a sheet-metal shed on the other side of it. The hangar's aircraft door faced to the West, not to the East, which is the direction of the runway. which makes me think of an F-104, although the hangar wasn't long enough to fit an entire aircraft inside. Some old stenciling read '84th FIS MA-1/ASQ-25 Scheduled Maint. W/C 14322.'" The AN/ASQ-25 was the 'Airborne Weapon Control System' used by F-101, F-102, and F-106 aircraft. The 84th FIS seems to have been at Hamilton from the late 1940s until 1973, when it moved to Castle AFB. was the MA-1 (Fire Control System) Calibration Barn. which might have been kept in standby mode while the aircraft were on alert." (based on the hangar door, complete with center notch for a vertical stabilator) with the shed/workshop type building. though there is a good chance the date is (19)68 instead of (19)88." and several large, open rooms inside. everything but the old AC/chiller room on the end was still secured. of being an old ADC/NORAD Operations type building." Data Link, and Instrument shops in the 1960s. while the F-106s were MA1 systems. All were built by Hughes Aircraft. MG-10 & 13 systems were almost identical, while the MA1 system was more advanced. The radar mockup windows faced to the east where we used radio antennas on the east side of the bay for targets. 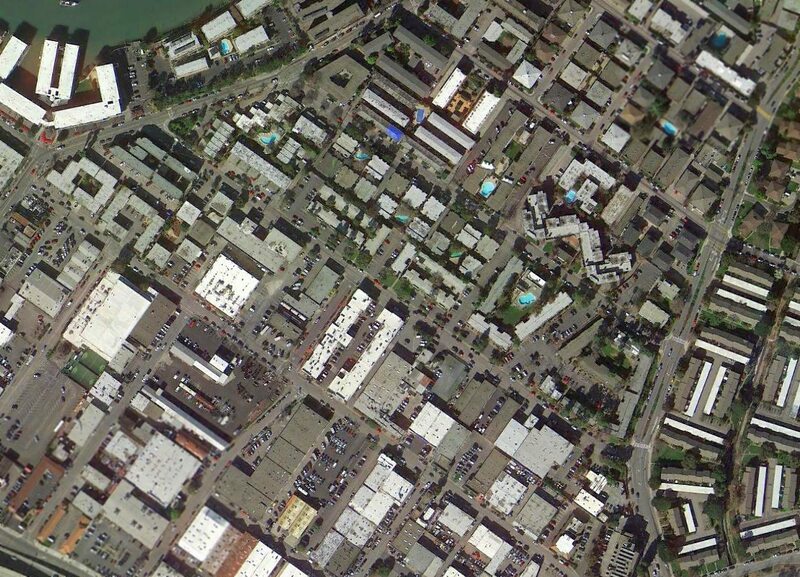 The small building looks like a F-106 nose dock used for system calibration. We did calibrations on the F-101s in the hangars." 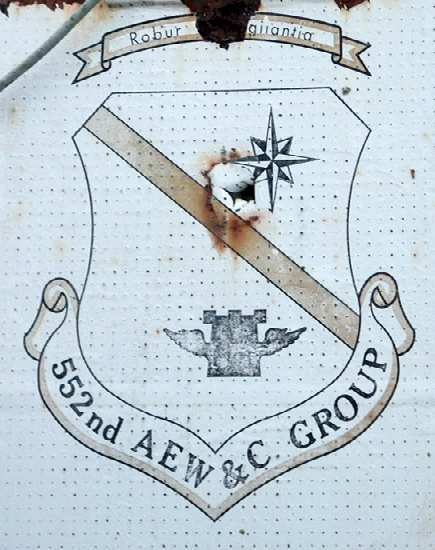 "The operations building, Building 30, had a 552nd AEW&C GROUP emblem on the exterior door. The 552nd was classified as a Group only between 1974-76." 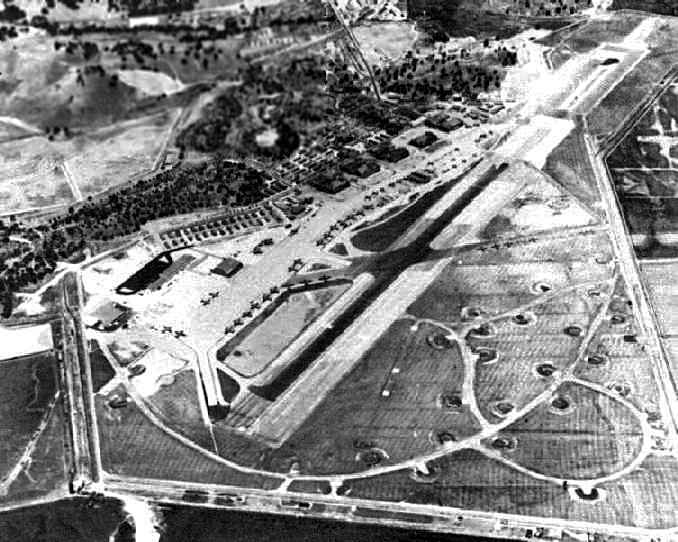 showing the unusual layout of the airfield. 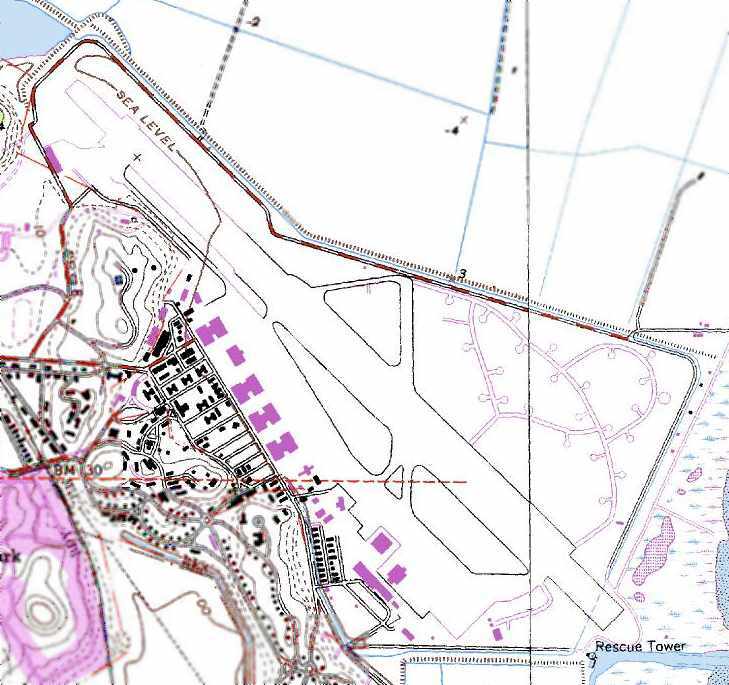 Also note the hundreds of new houses which have been constructed right up to the hangars. A 2006 photo by Scott Murdock of several gutted former Hamilton hangars. 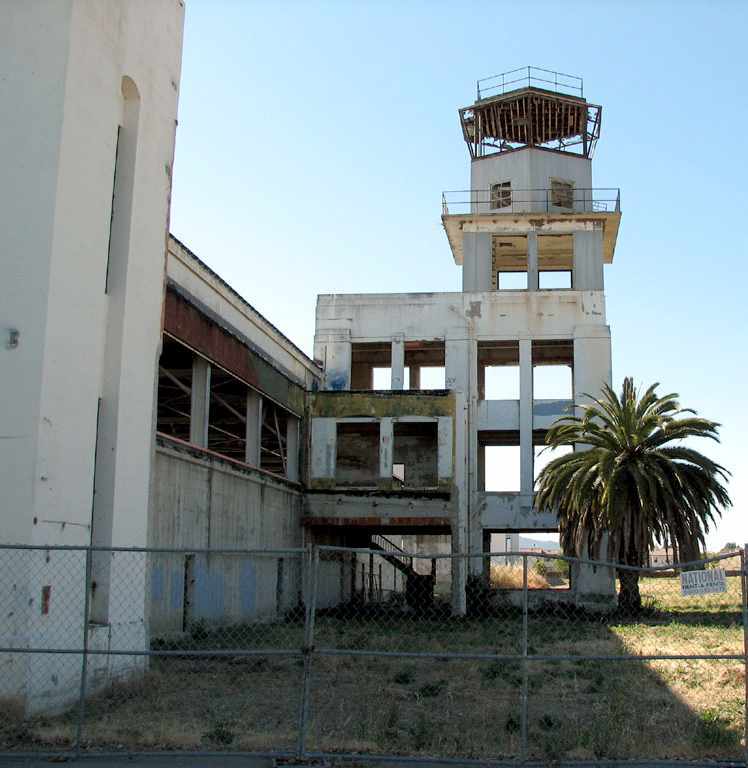 A 2006 photo by Scott Murdock of the gutted former Hamilton control tower. A 2006 photo by Scott Murdock of the fully-restored Hamilton Hangar #5. A 2006 photo by Scott Murdock of the beautifully maintained former Hamilton Protestant Chapel. According to Brent Peircy, “To my knowledge it is one of the few original buildings that remained operational & didn't fall into disrepair. A February 2007 aerial view by Ian Carisi looking north at the redevelopment of Hamilton. as well as numerous dispersal pads. 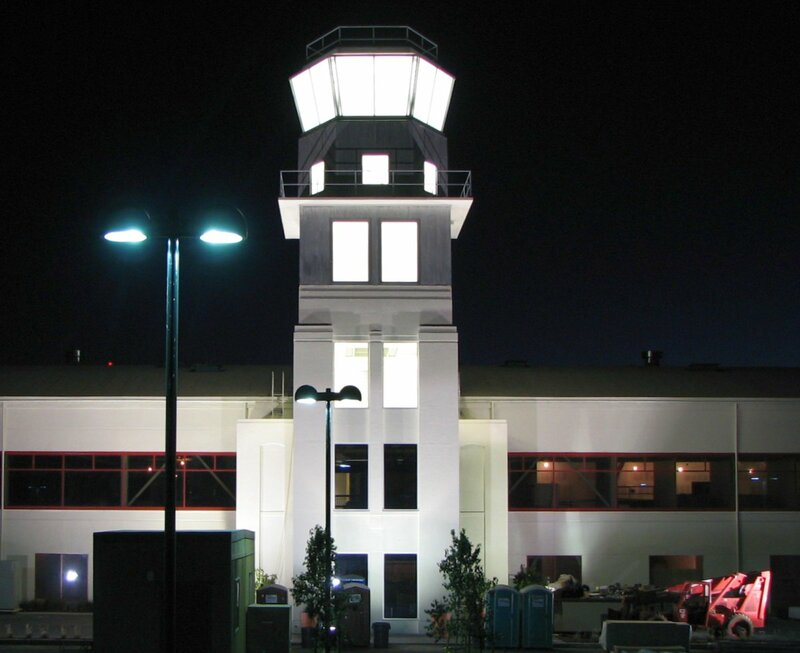 A circa 2008 photo of the restored Hamilton Field control tower. located in the former Hamilton Field Fire Station. A 2012 photo by Carl Kangas of the restored Hamilton Field hangars & control tower. A 1/2/14 aerial view by Ian Carisi looking at the site of Hamilton Field. Amazing to see such a massive airfield completely removed. 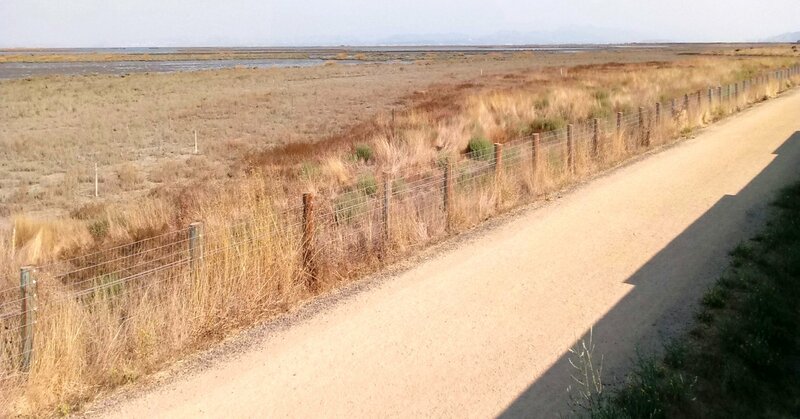 to restore wetlands from the previous century. with most of the airfield area now intentionally flooded, but the row of hangars remaining along the right side. Many millions of dollars of aviation infrastructure, paid-for by the taxpayers, now intentionally destroyed. A 10/18/17 photo by Rex Ricks looking northwest along the former Hamilton AFB hangars & ramp area. Rex observed, “Today as I visited the former Hamilton Field, I thought about the massive fires that recently hit Wine Country in Northern California. 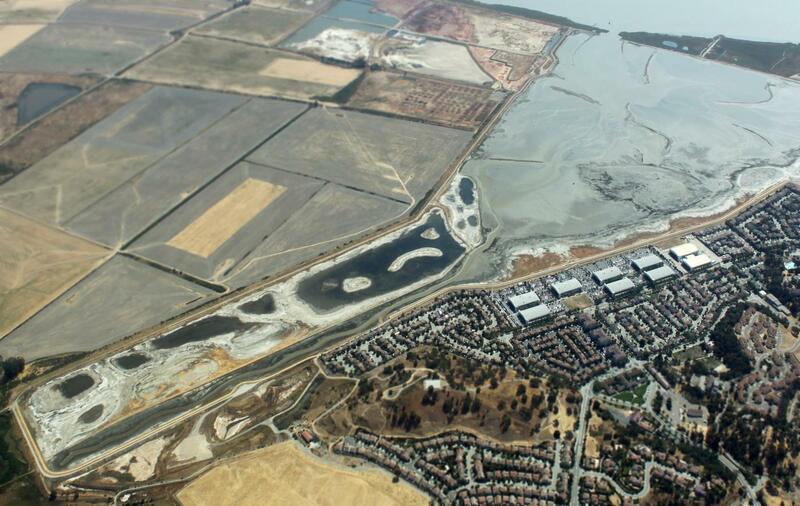 If Hamilton Field was still an airport, instead of a swamp, aerial tankers could have scooped up water from the adjacent San Pablo Bay to put out the fires. Instead the Novato NIMBY Nabobs led by then Marin County Supervisor & eventual California Senator Barbara Boxer thwarted any efforts for aviation reuse in the 1970s. A 10/18/17 photo by Rex Ricks looking east at the former Hamilton AFB runway, now flooded.